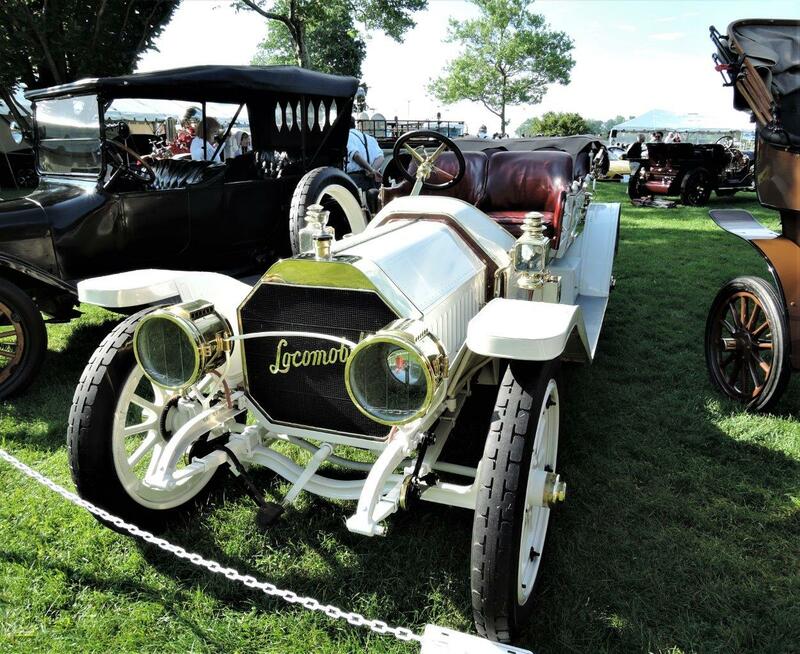 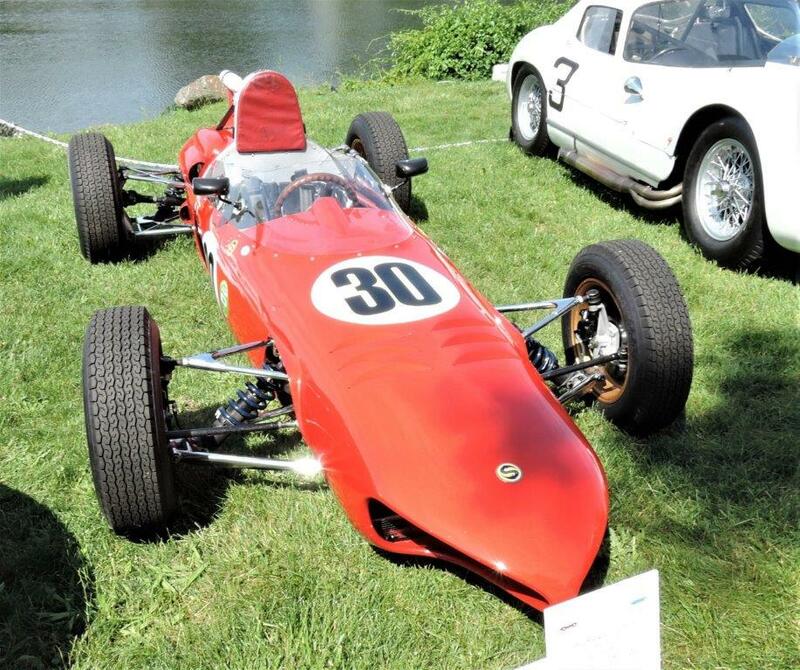 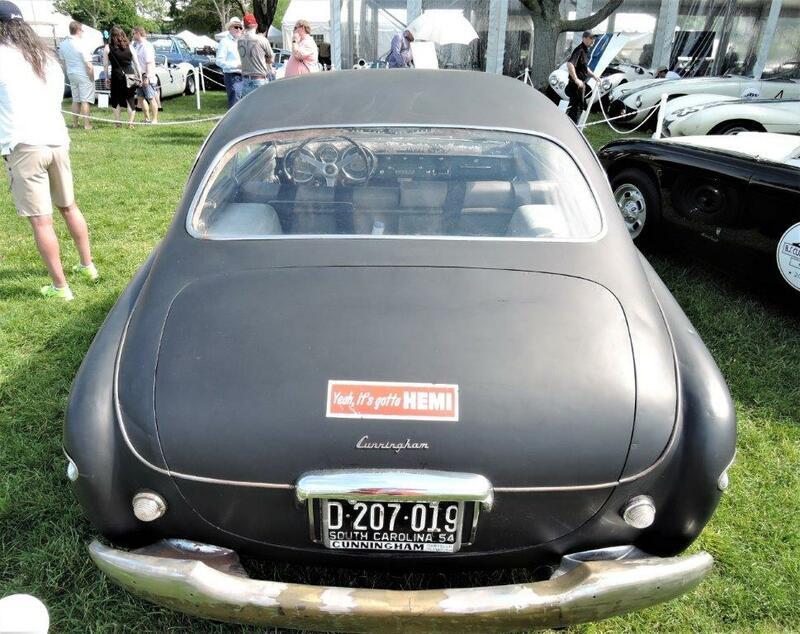 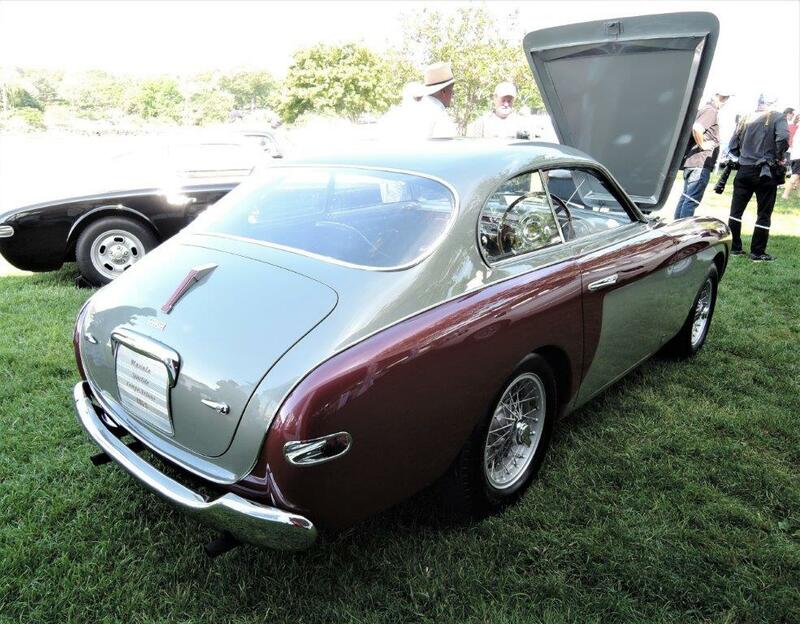 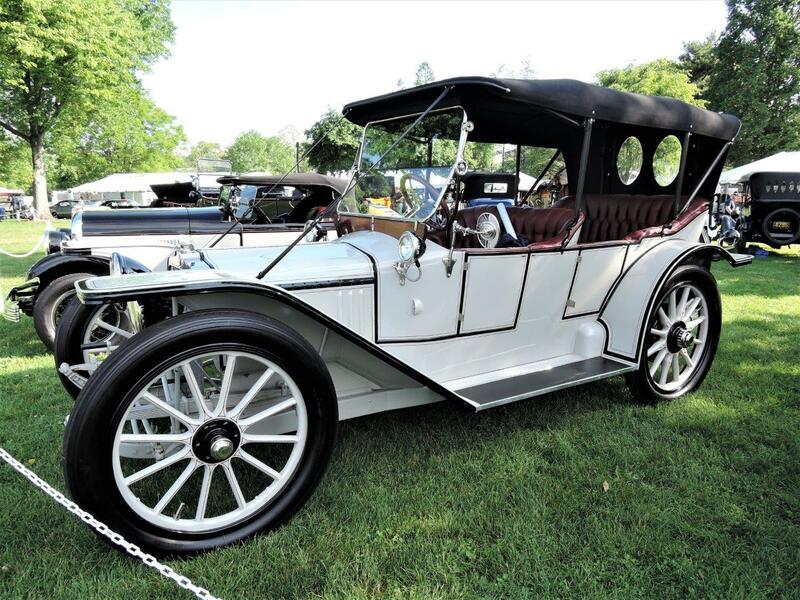 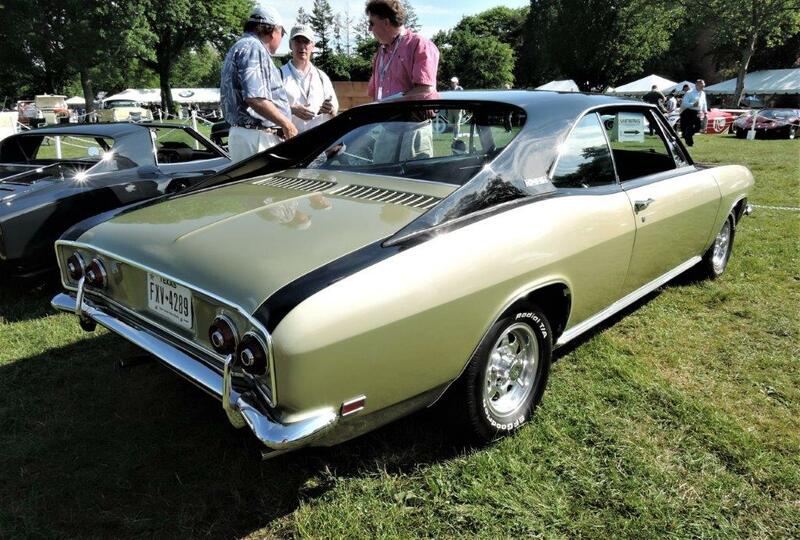 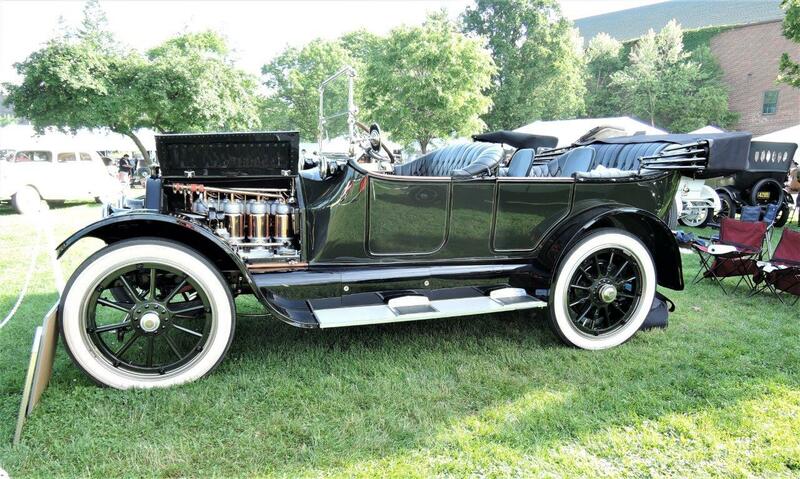 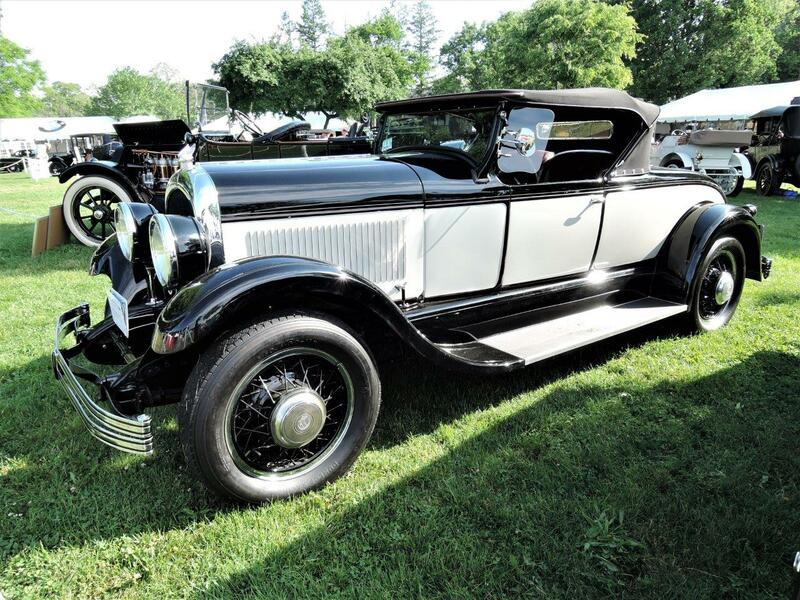 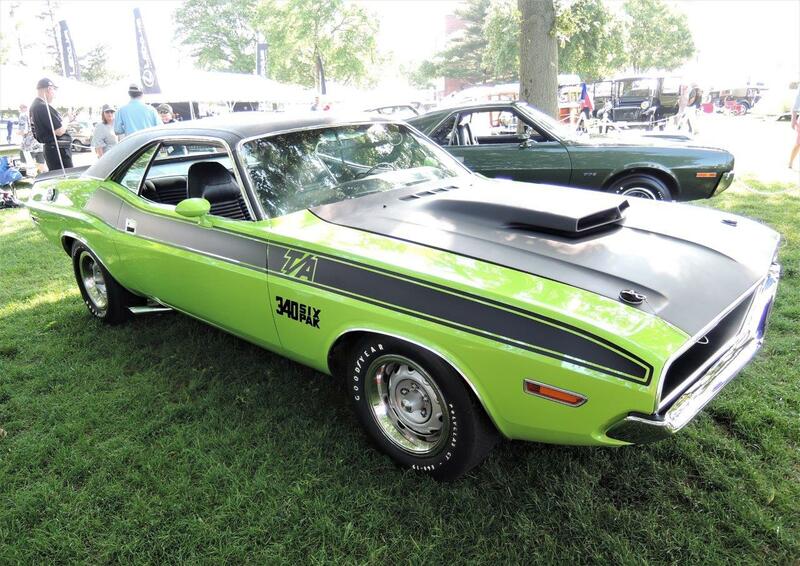 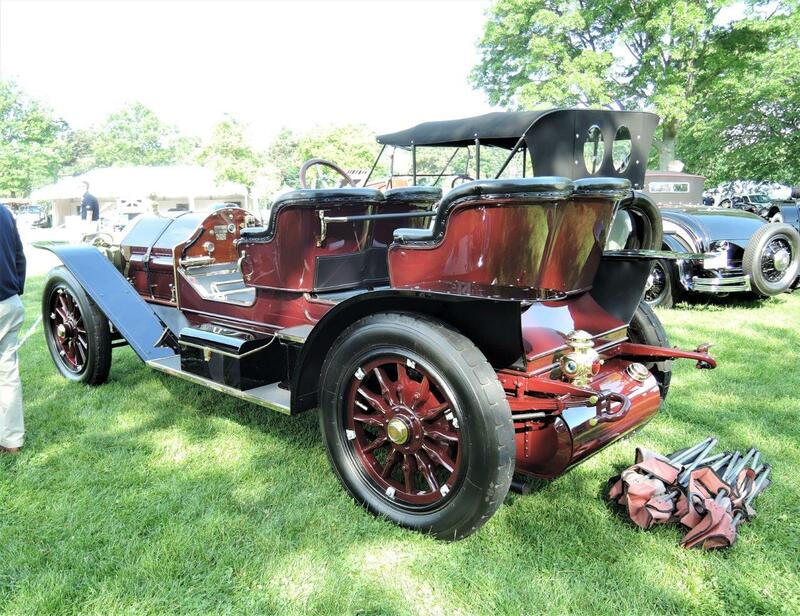 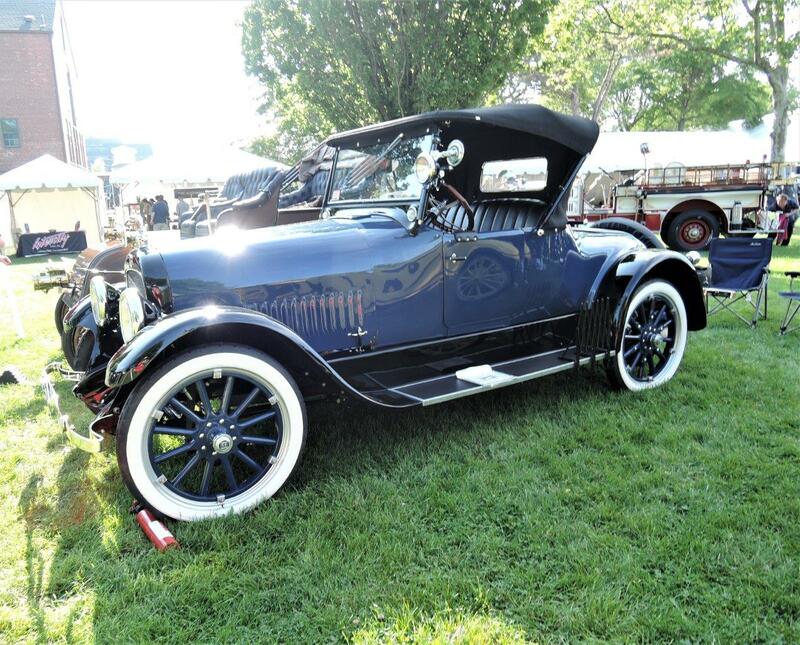 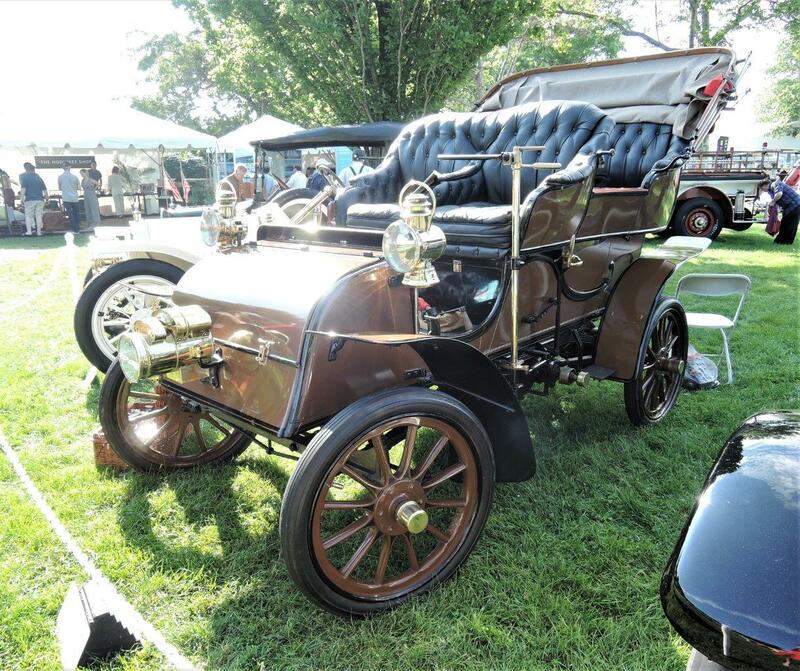 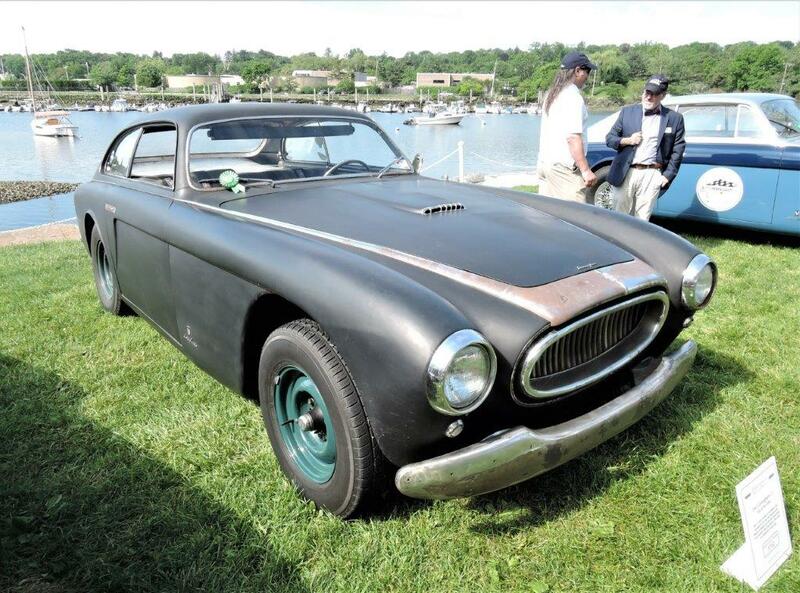 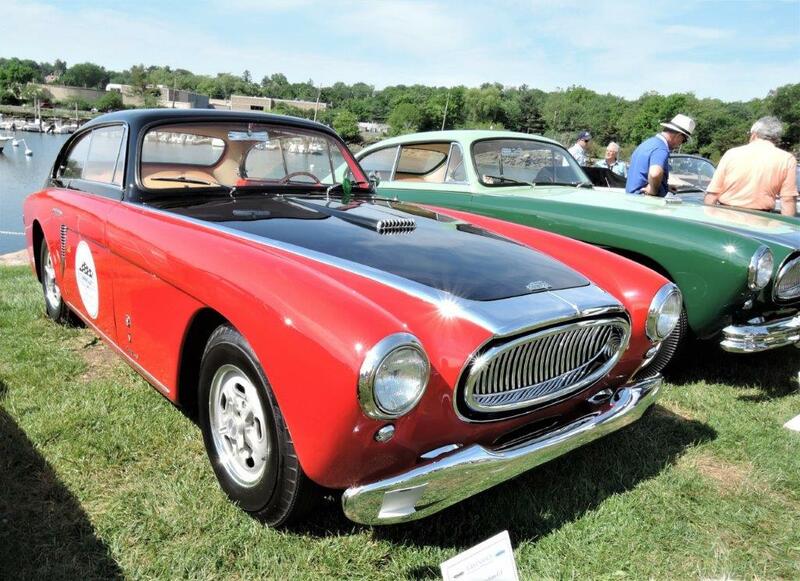 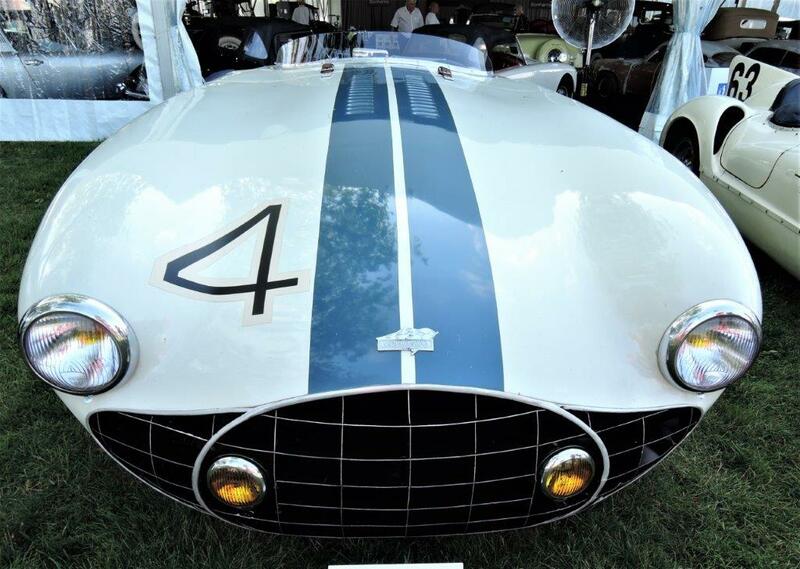 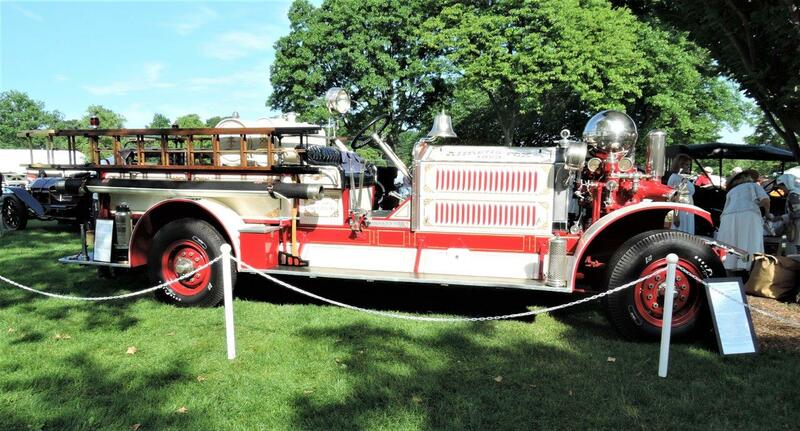 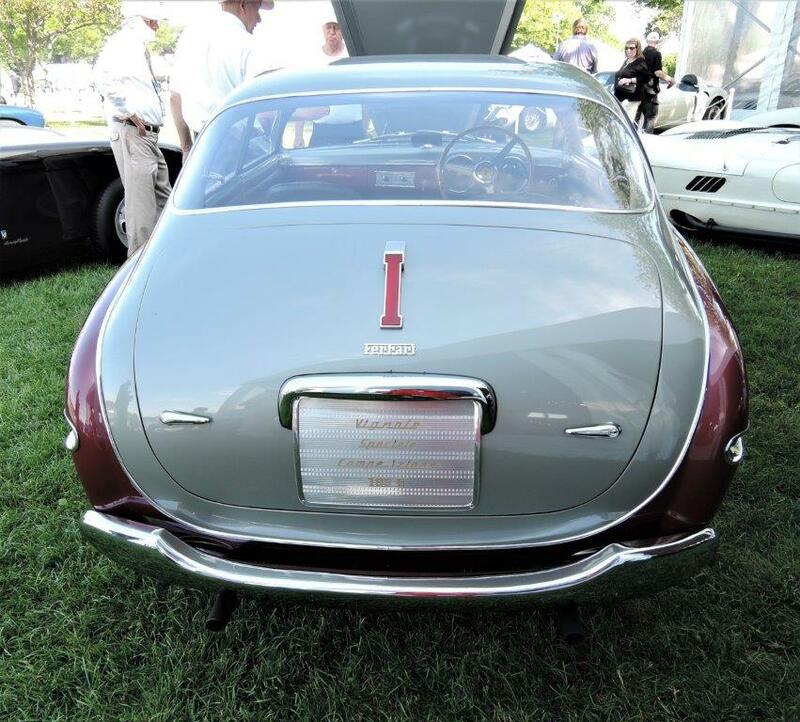 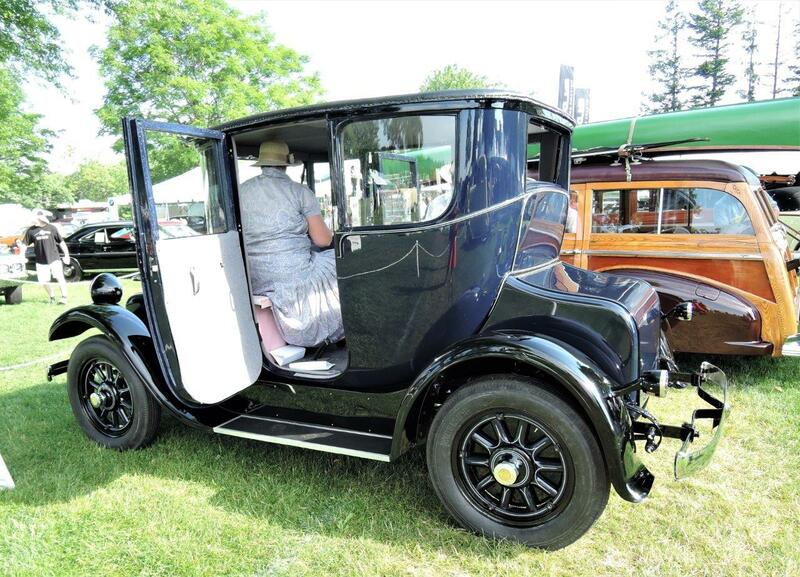 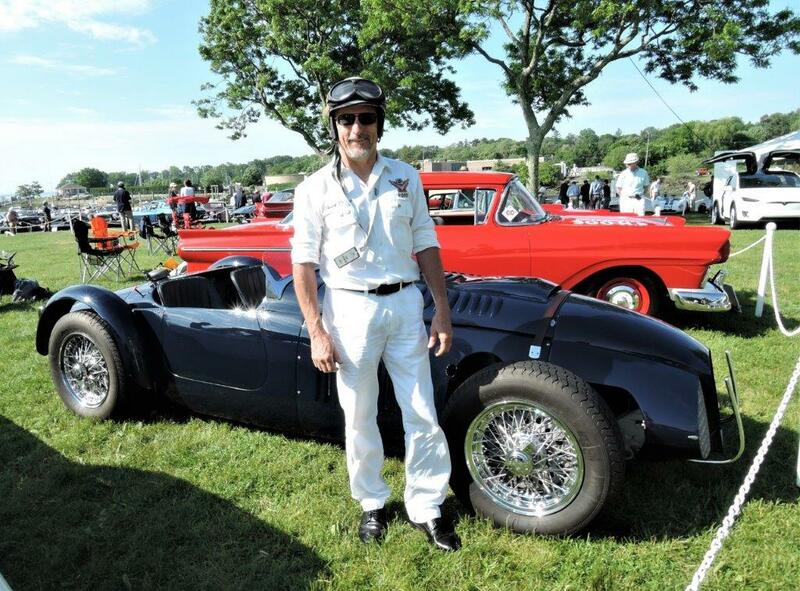 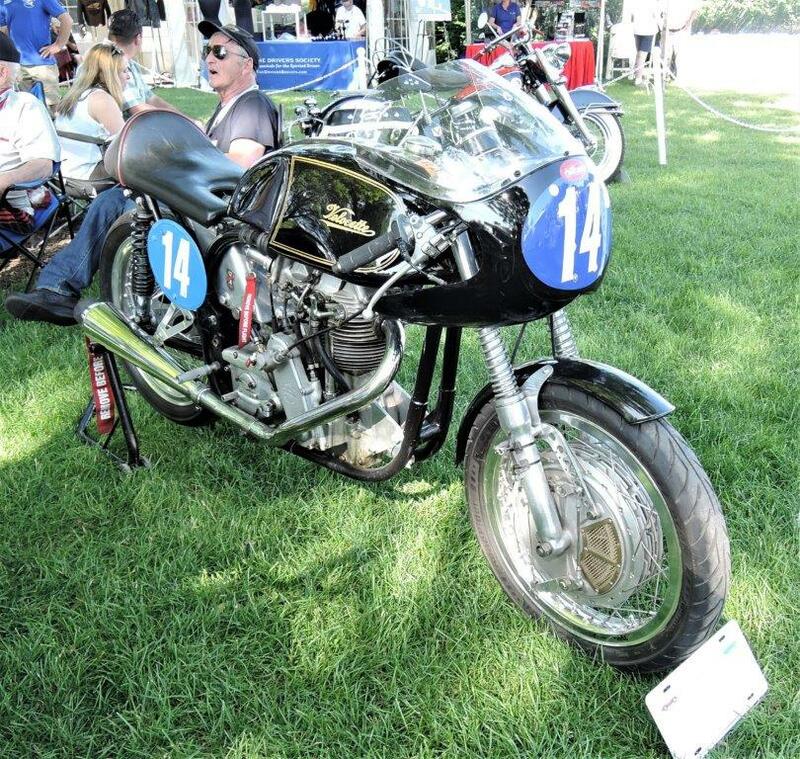 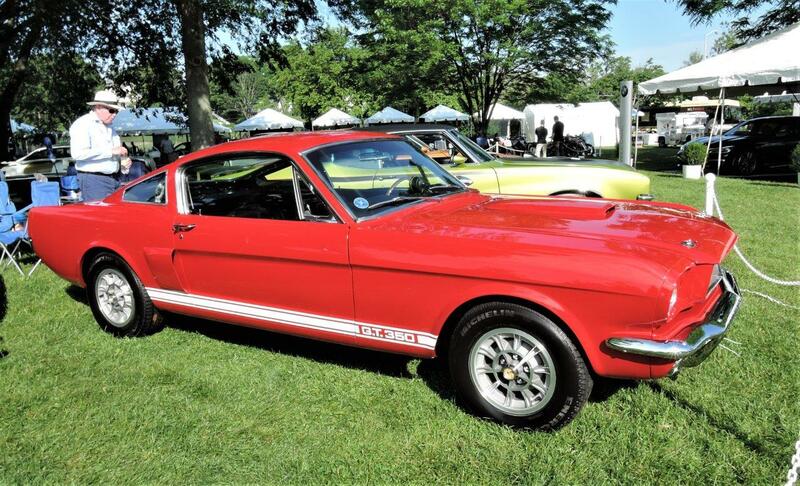 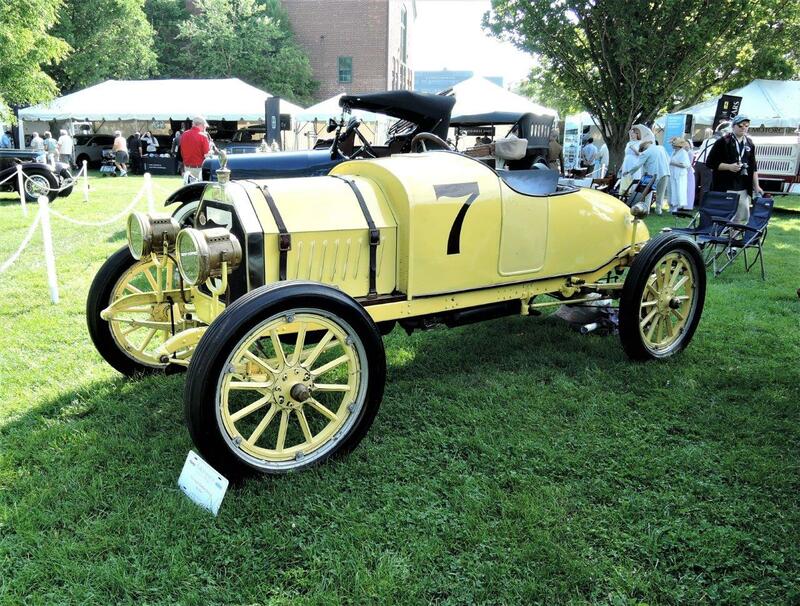 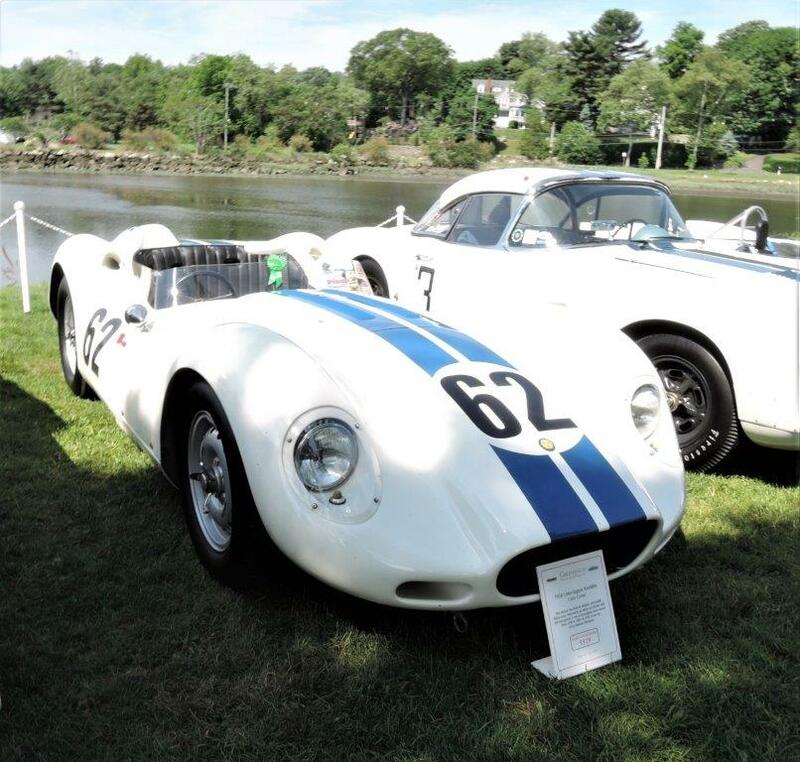 The 23rd annual Greenwich Concours d’Elegance was held on the first weekend in June at Roger Sherman Baldwin Park in Greenwich, CT. 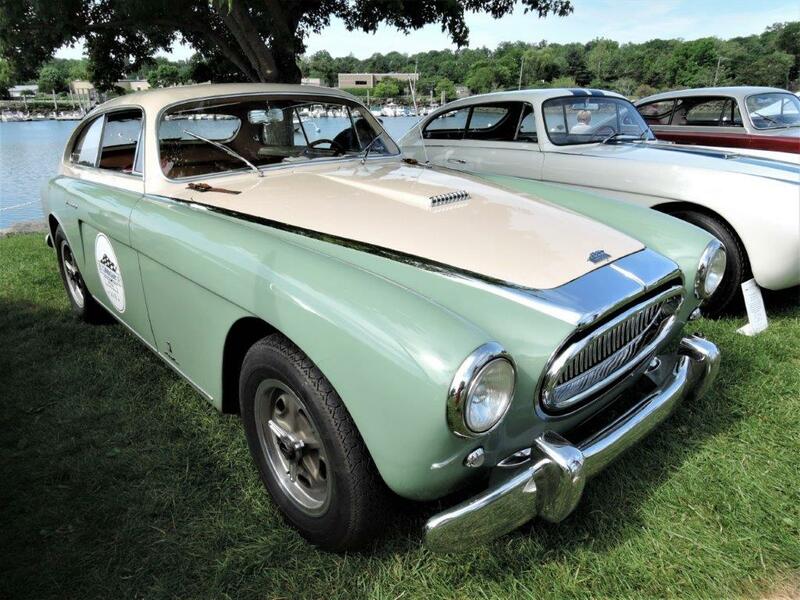 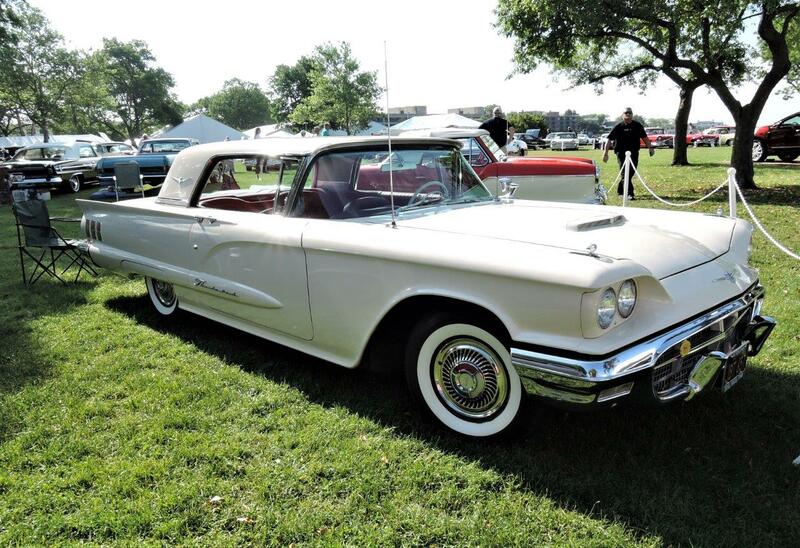 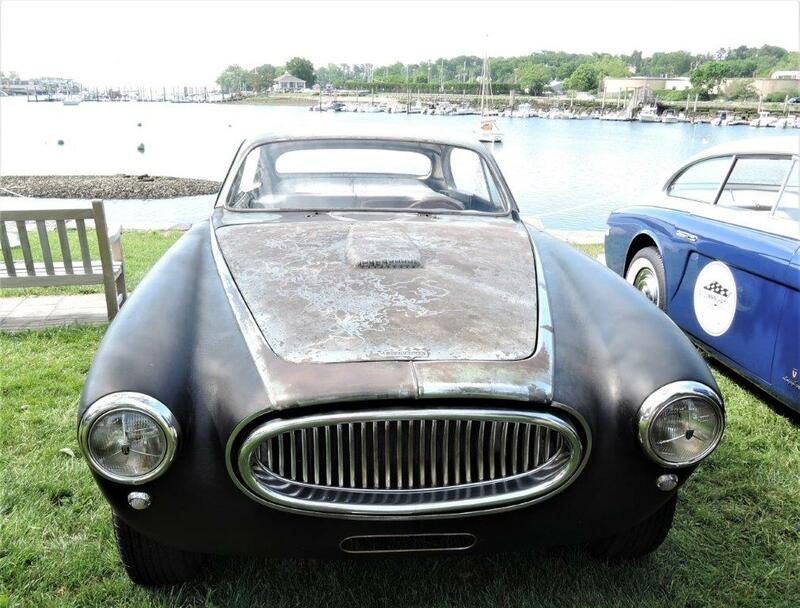 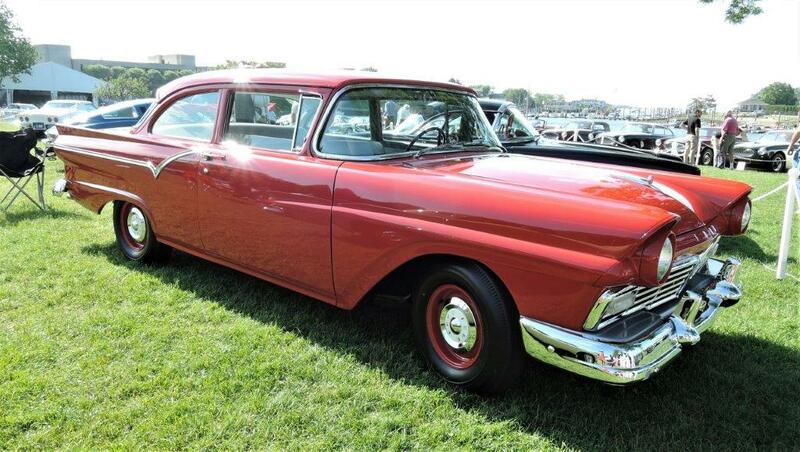 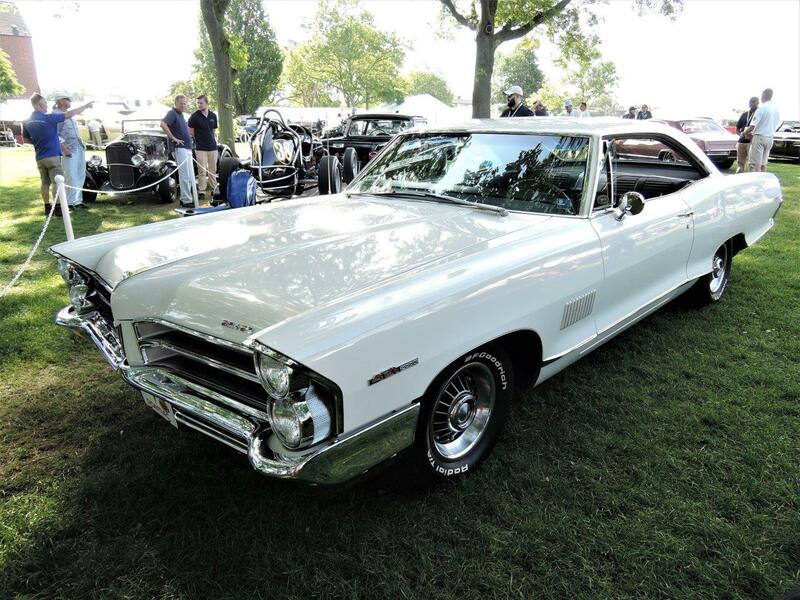 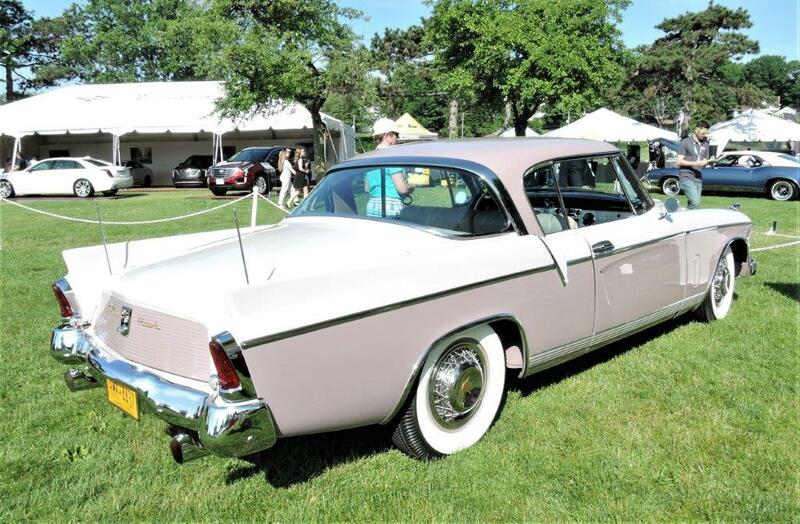 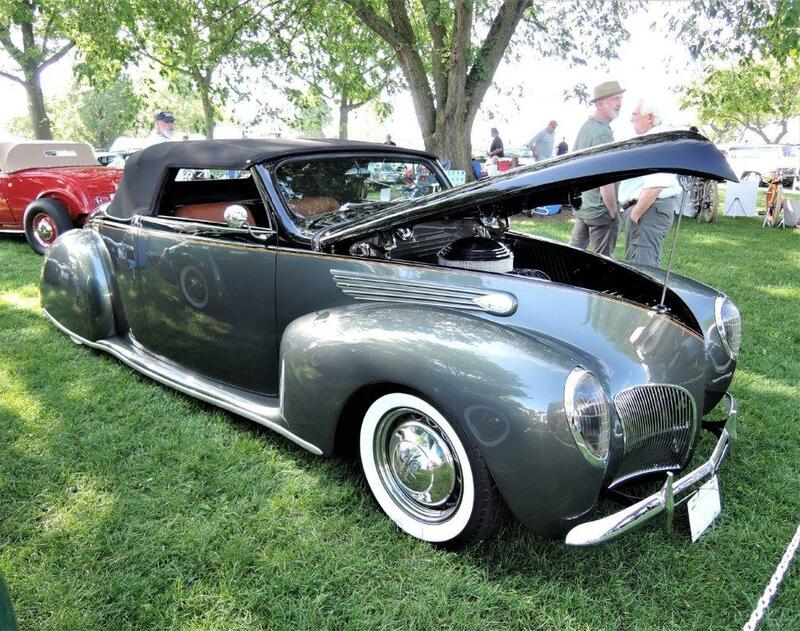 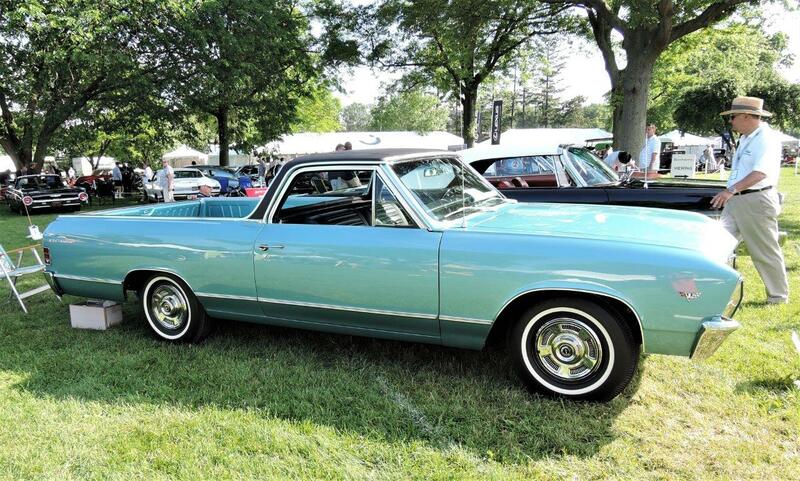 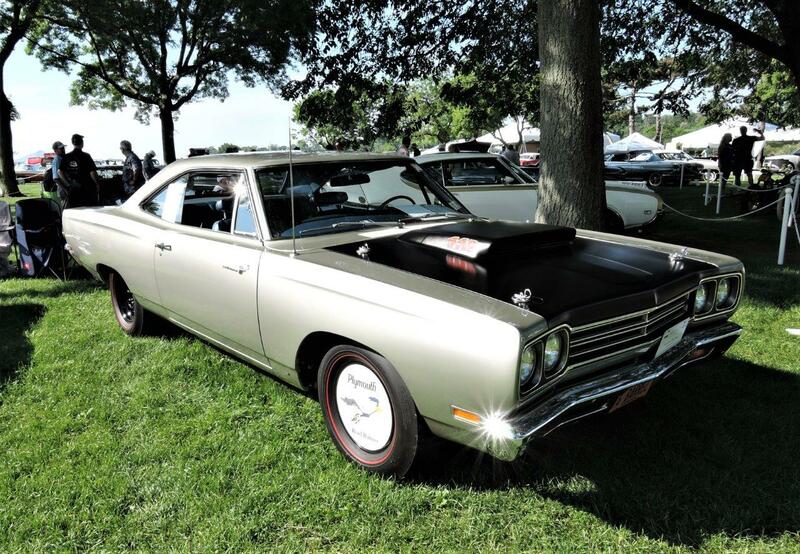 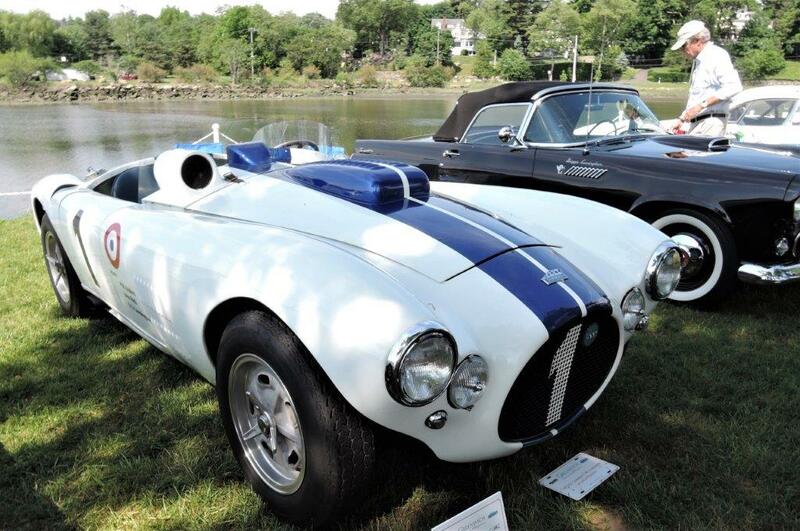 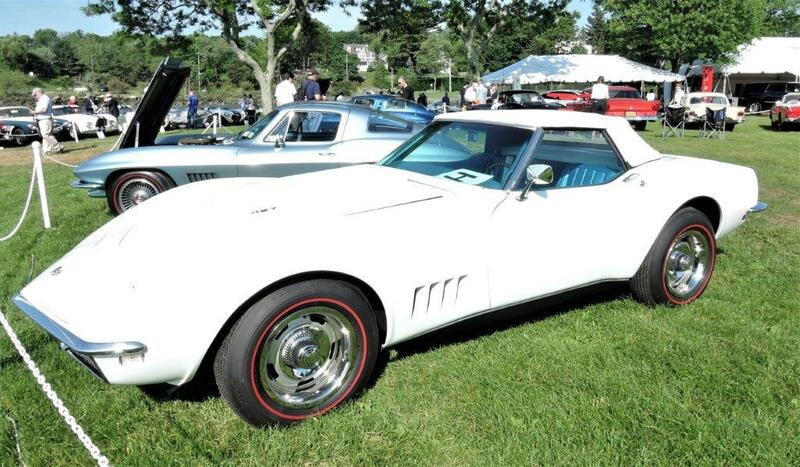 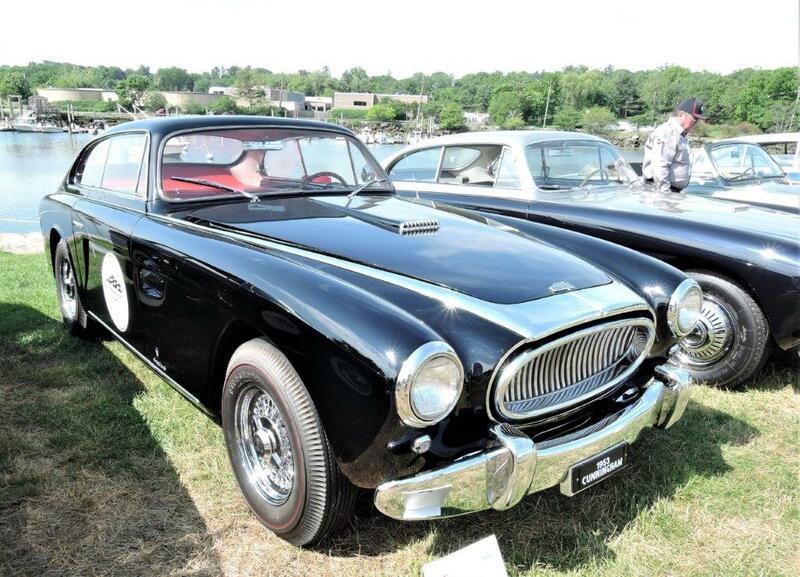 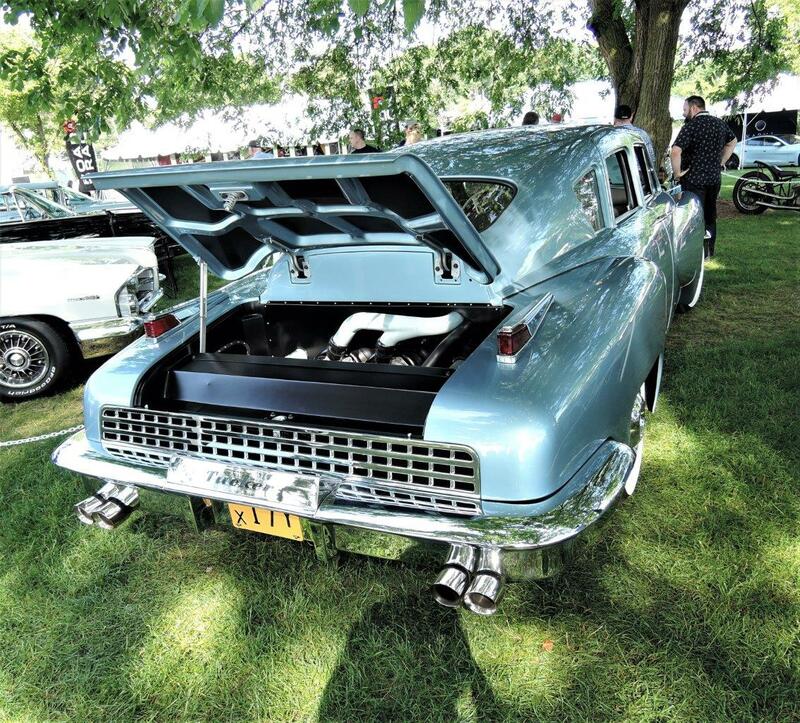 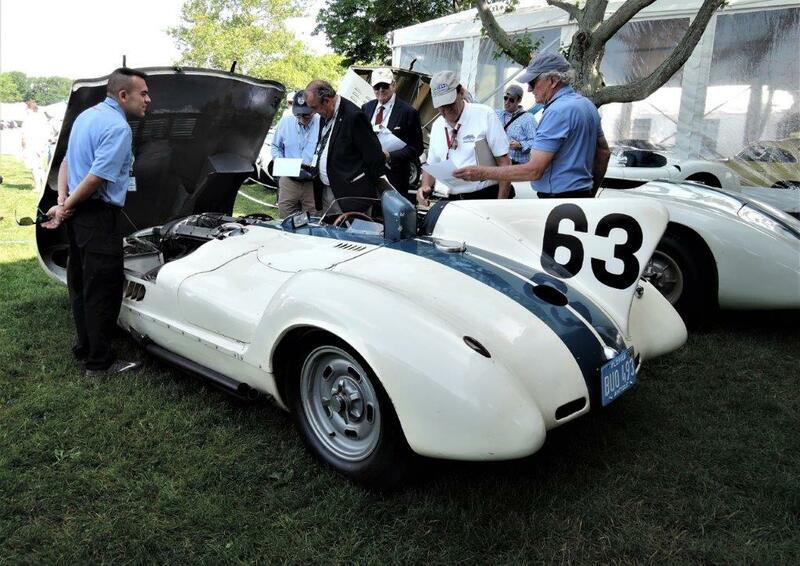 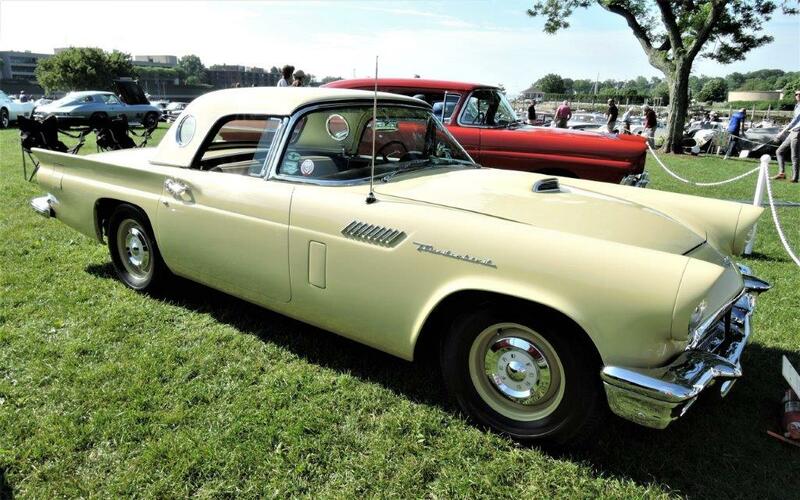 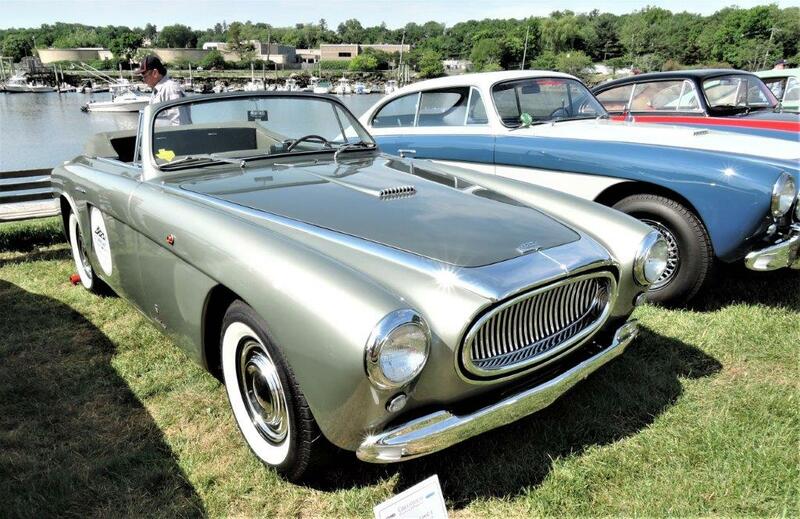 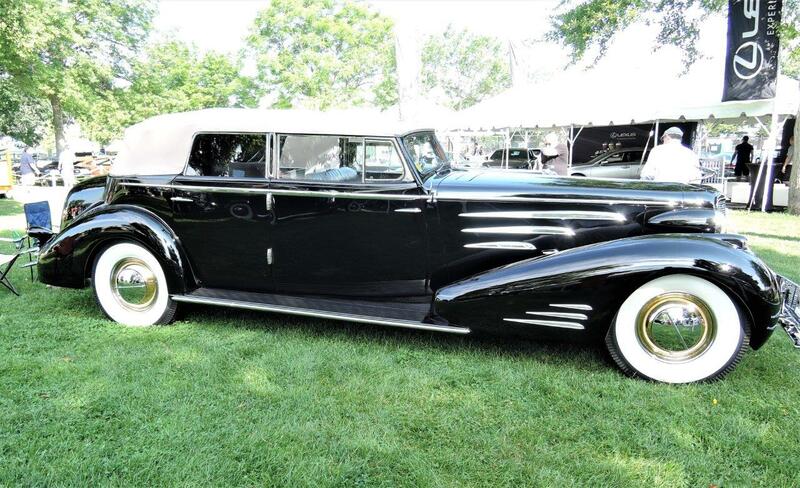 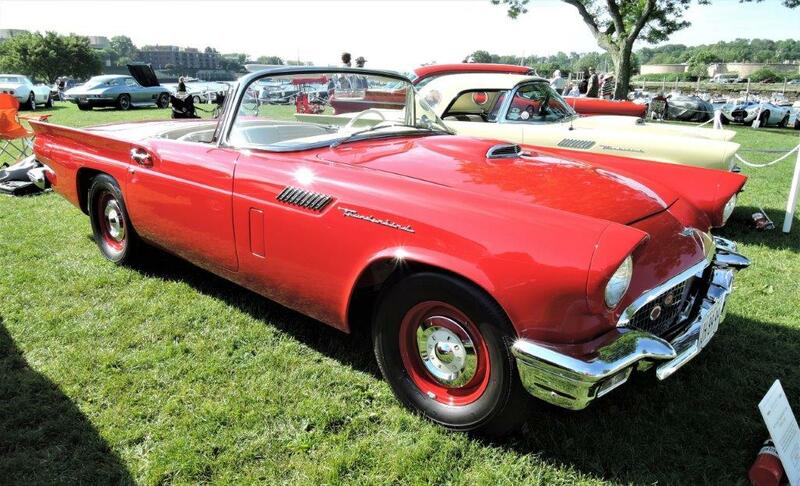 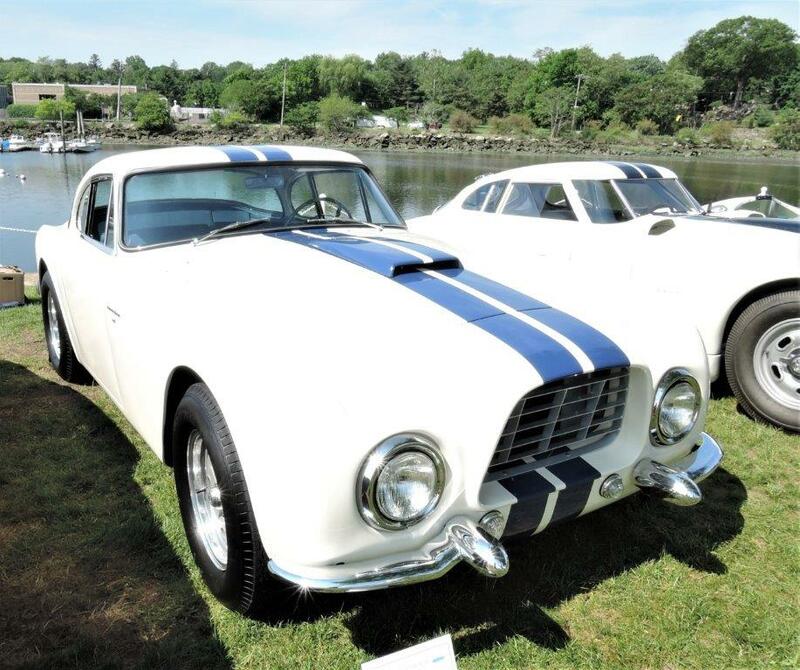 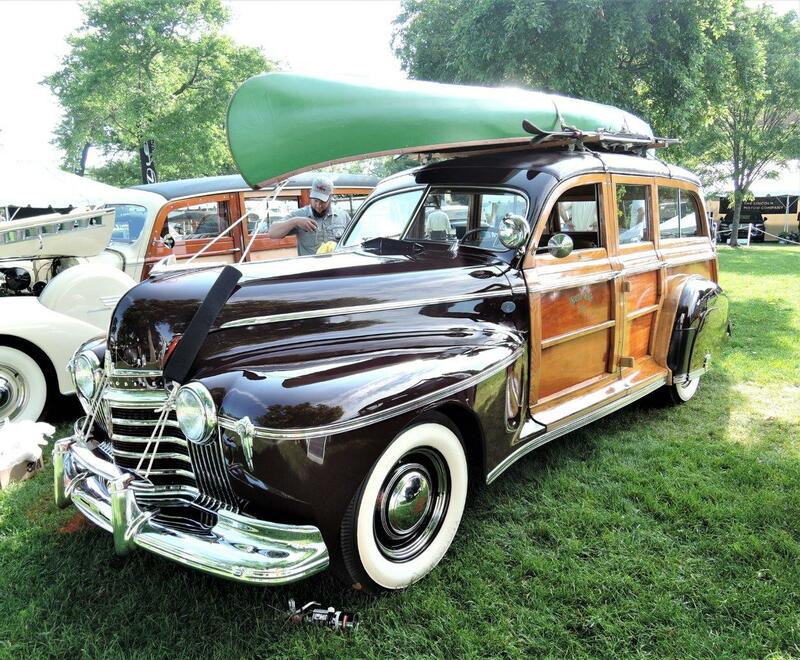 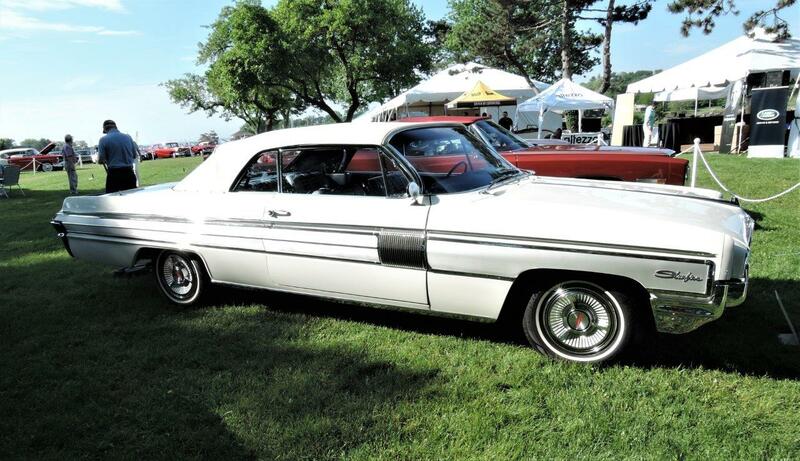 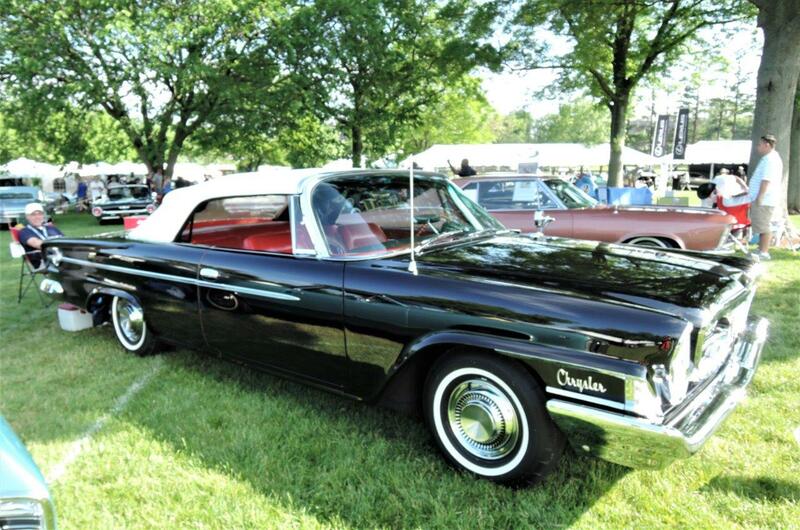 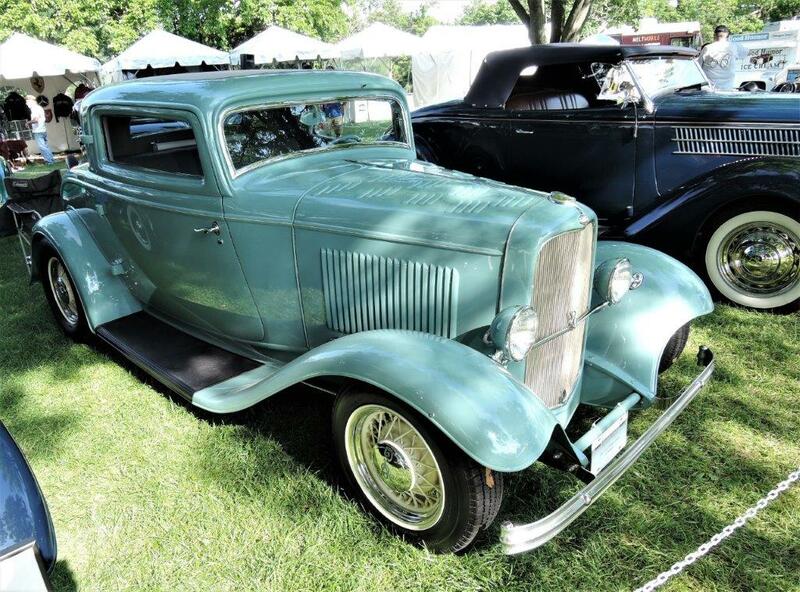 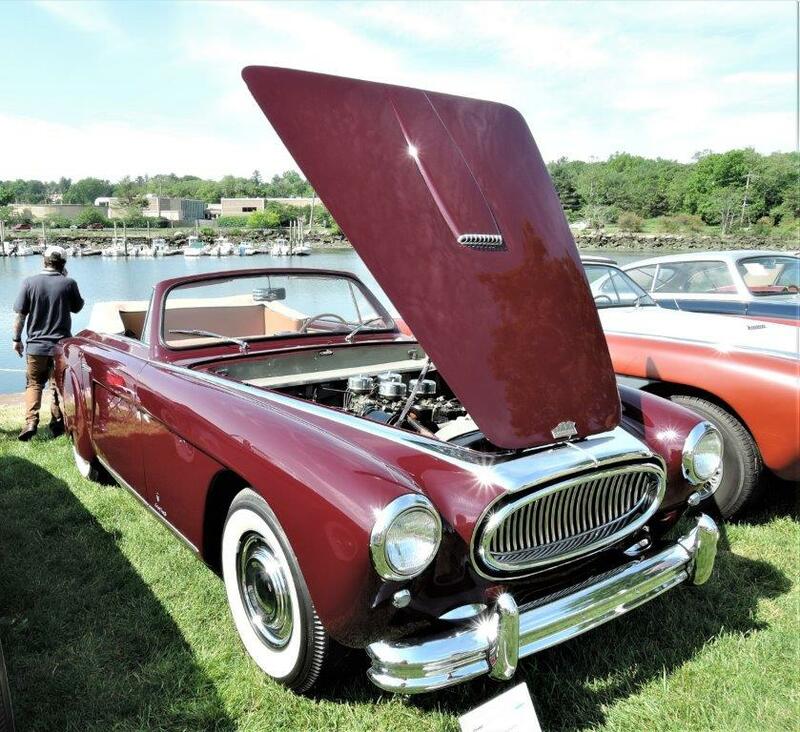 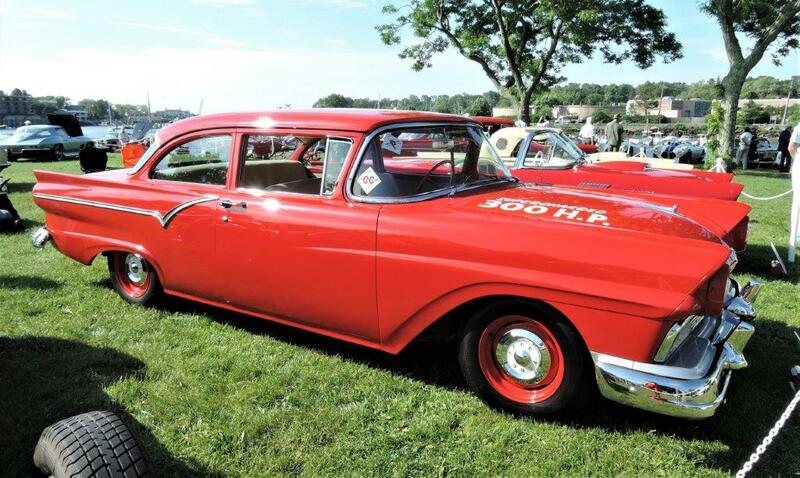 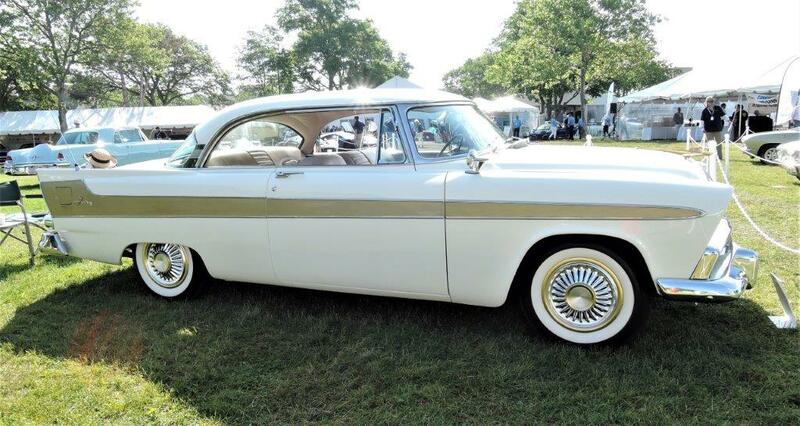 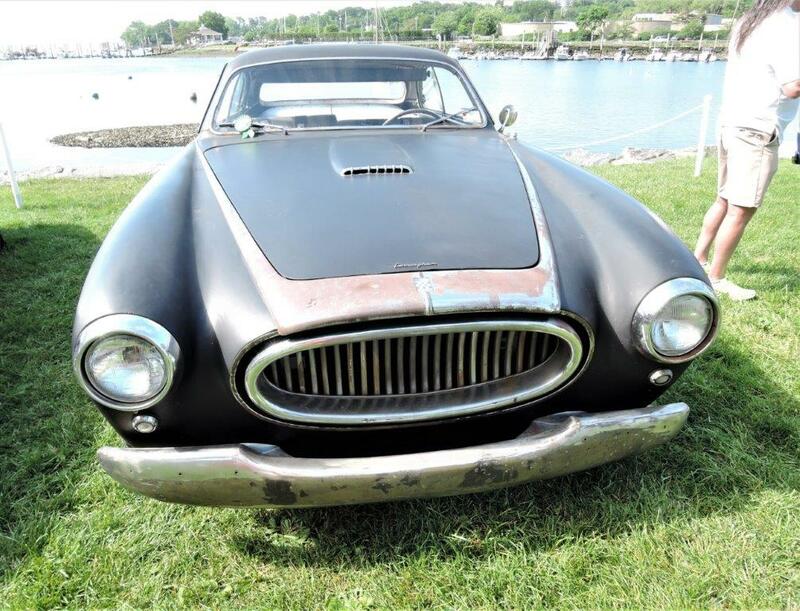 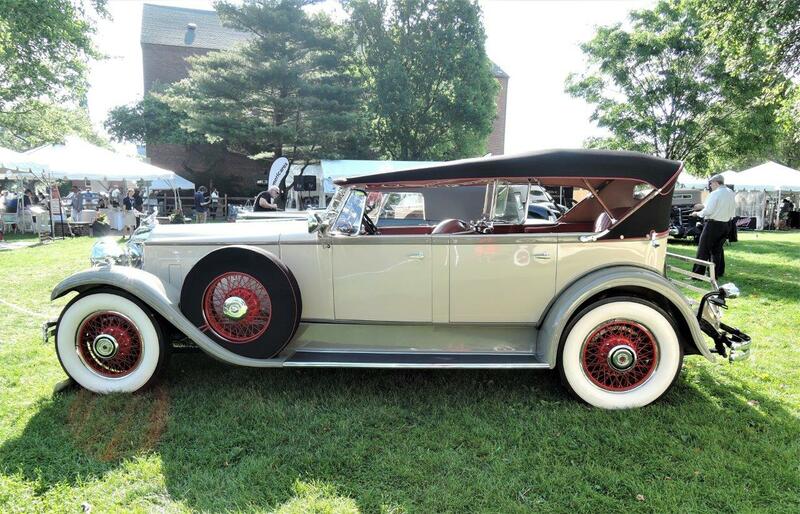 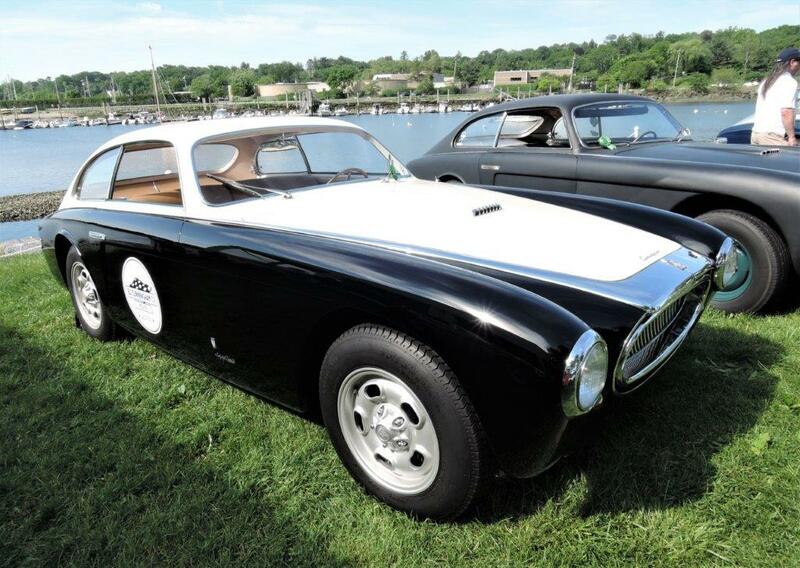 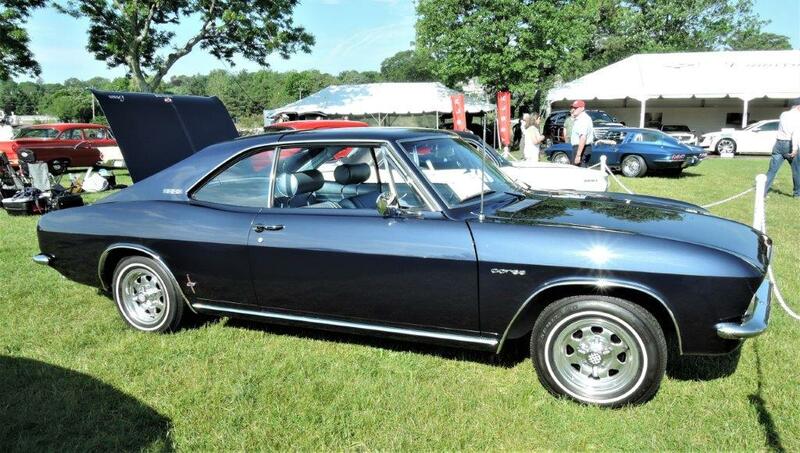 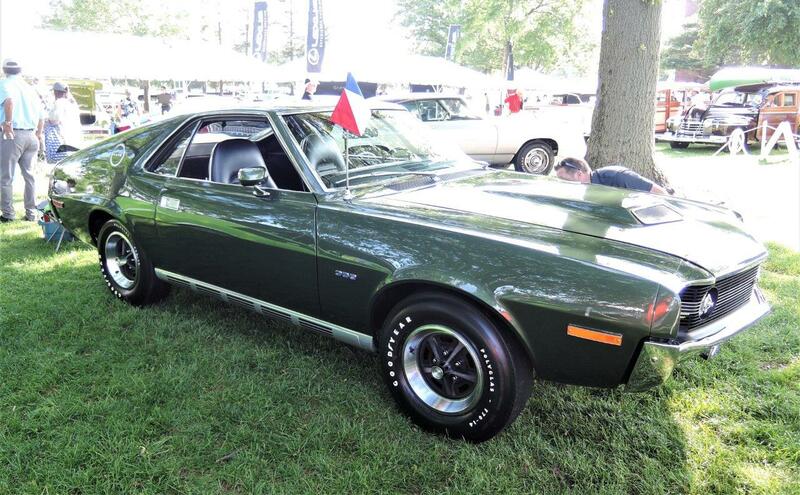 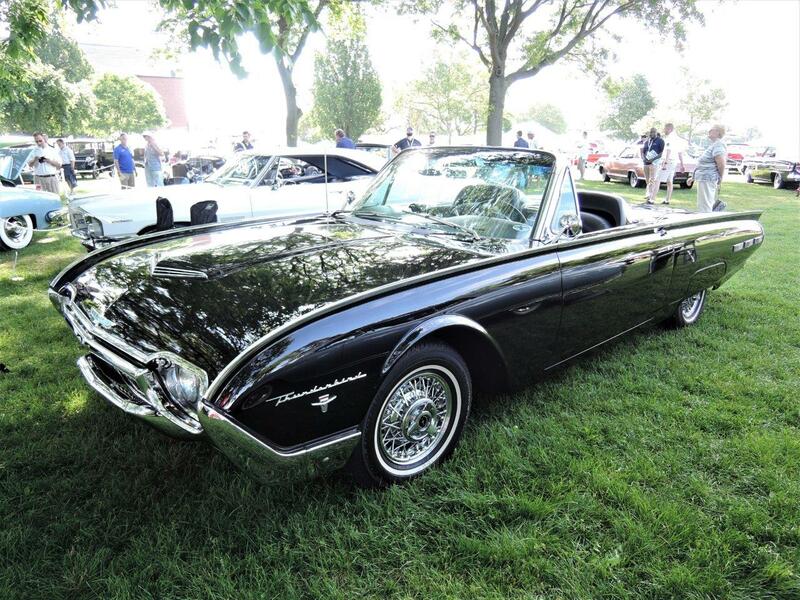 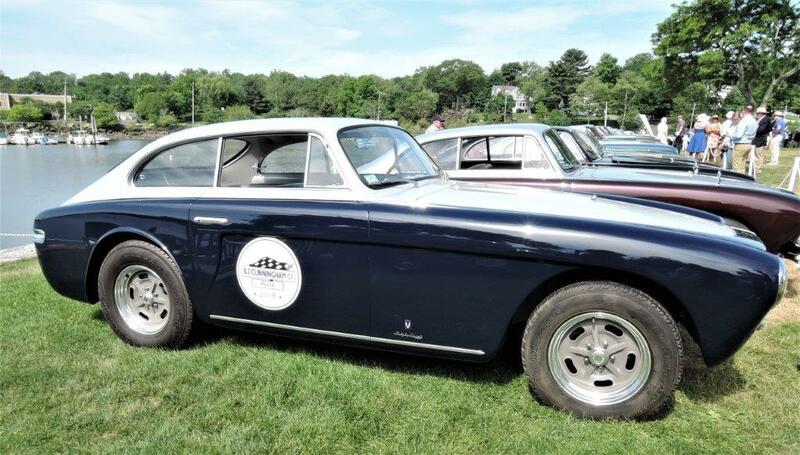 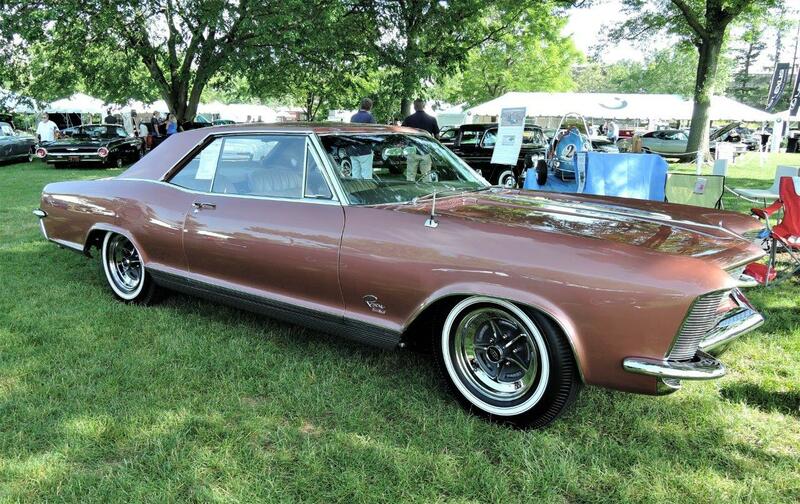 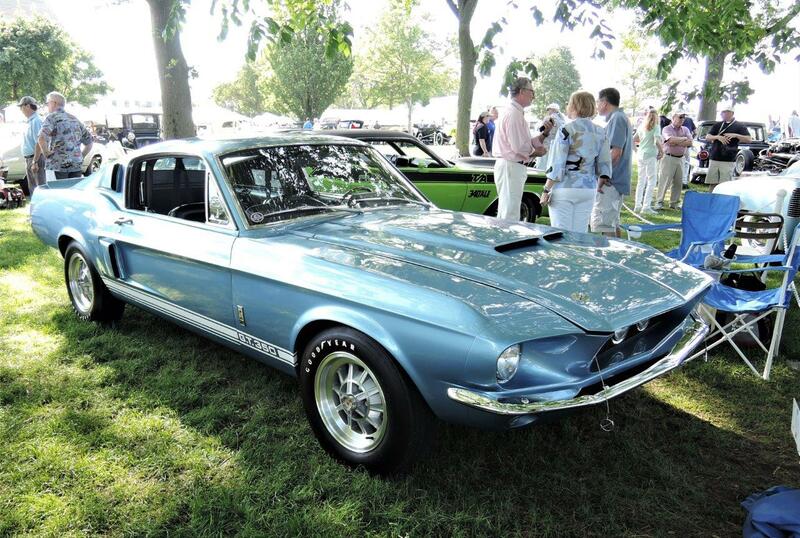 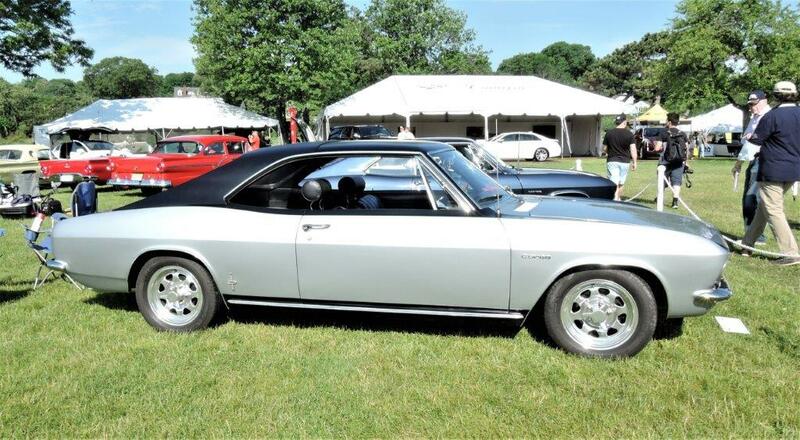 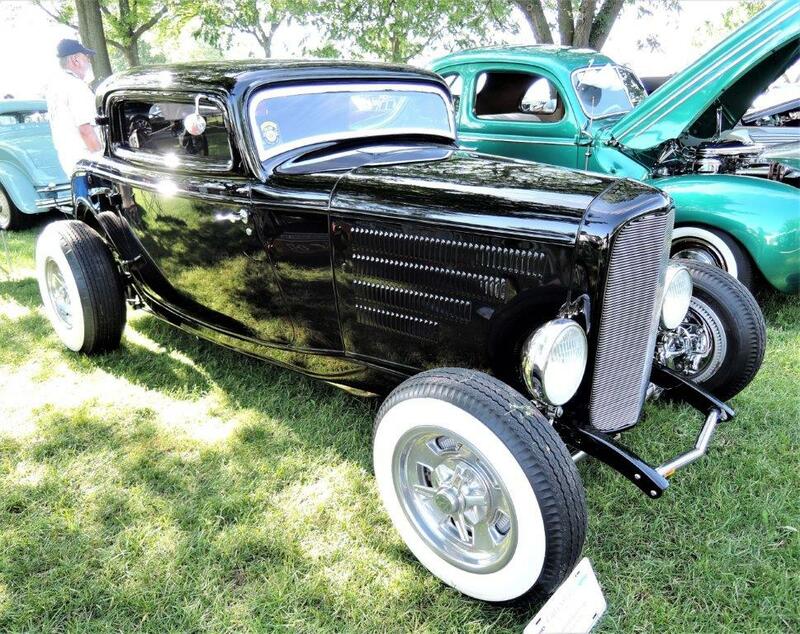 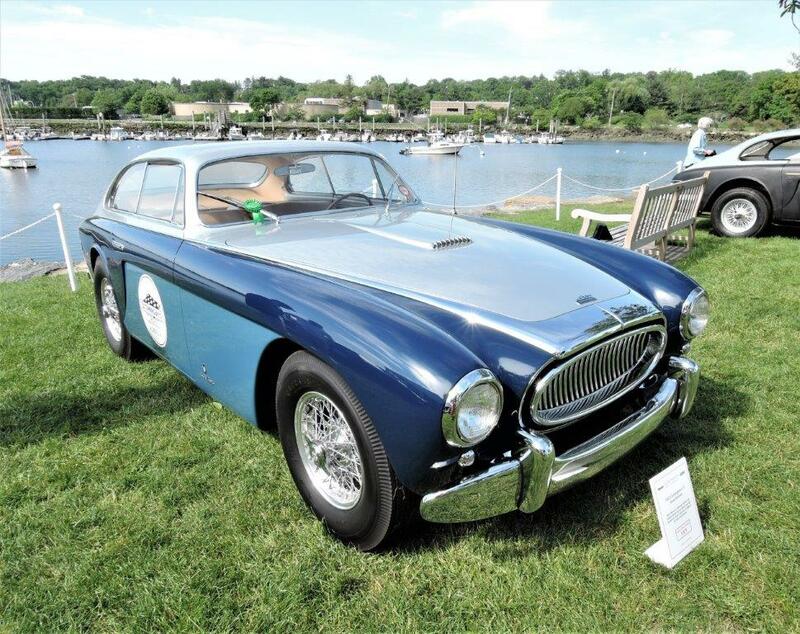 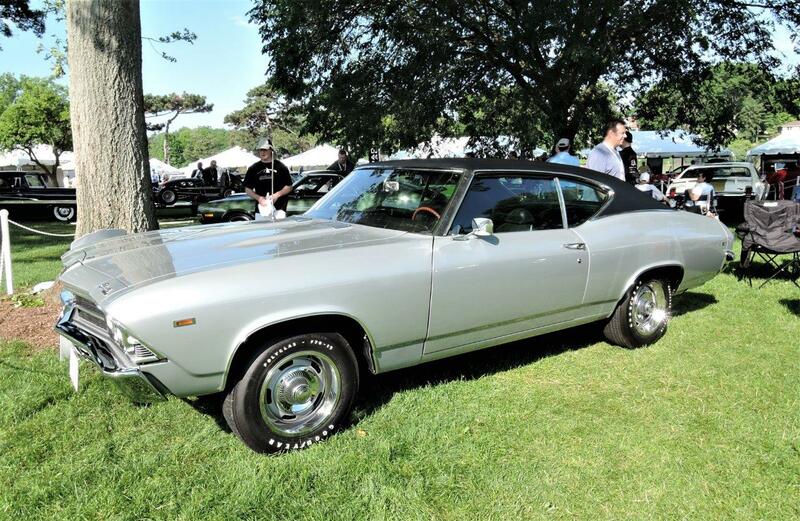 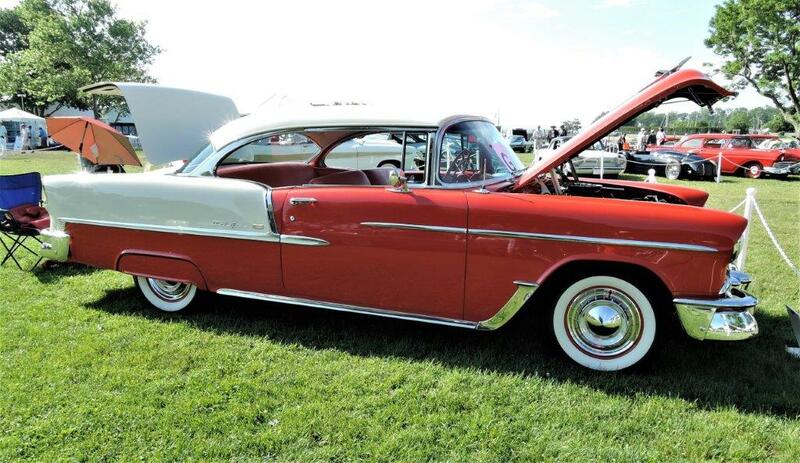 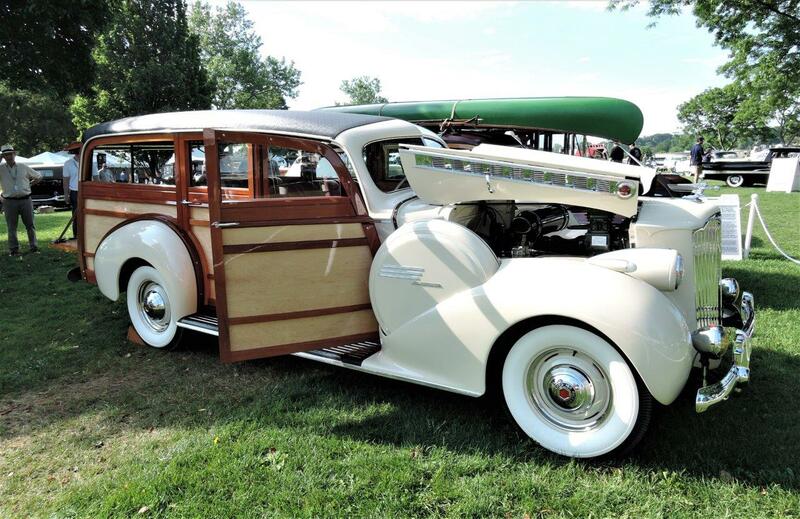 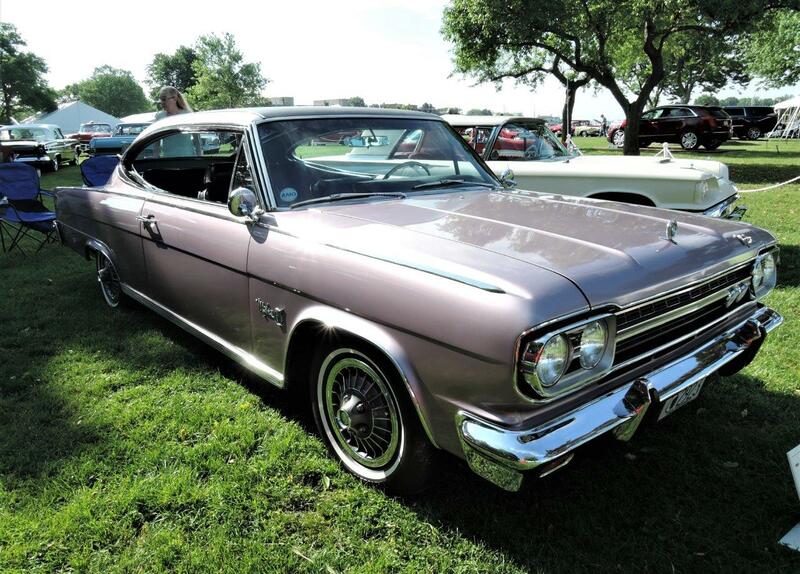 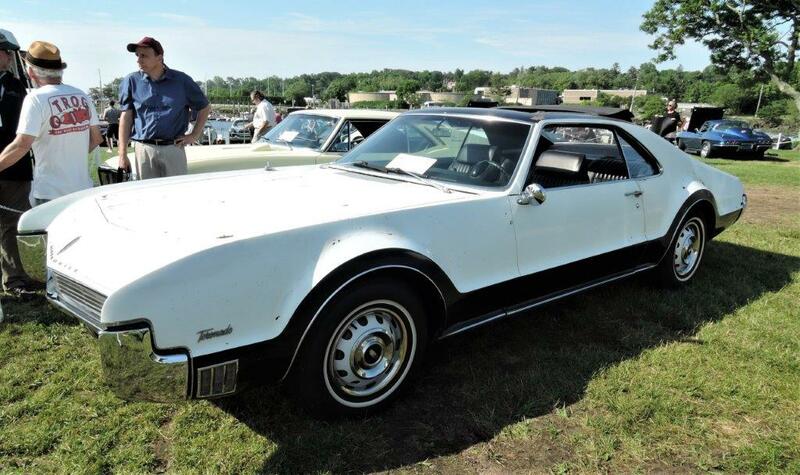 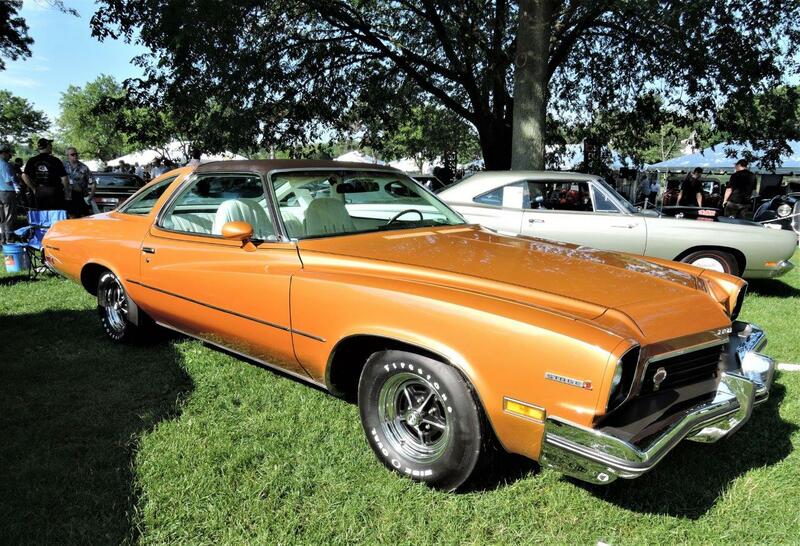 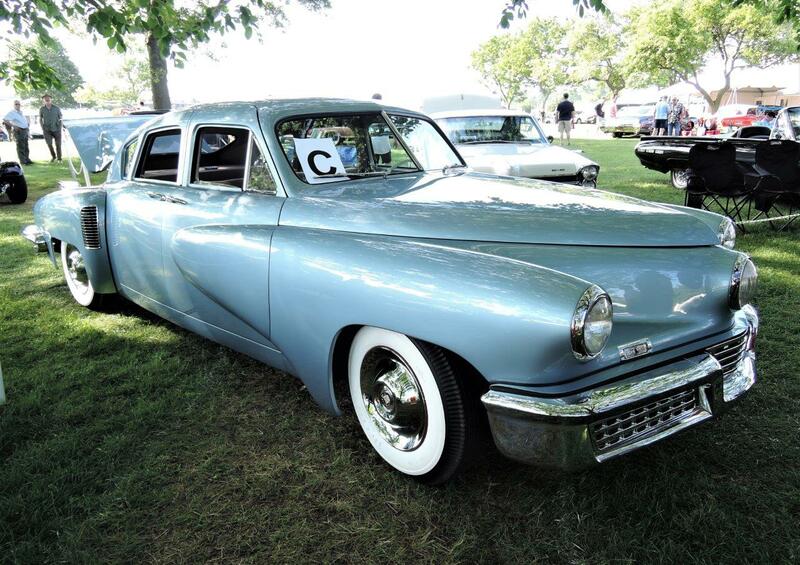 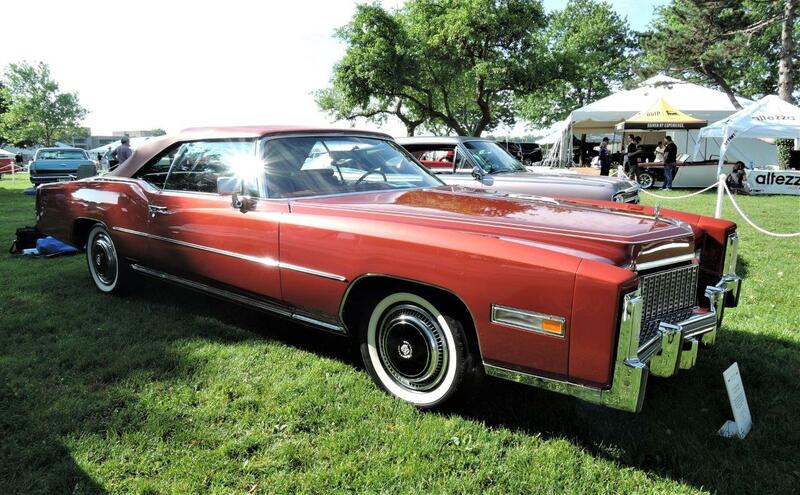 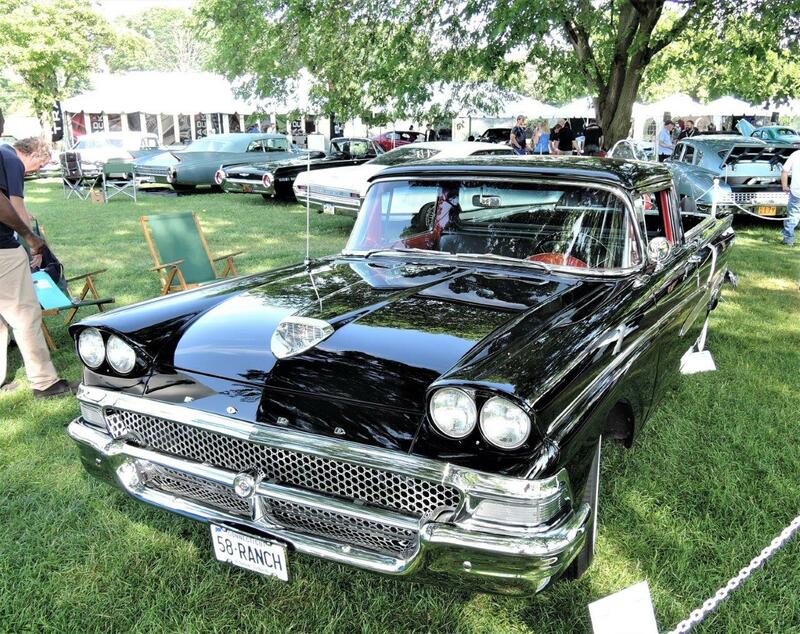 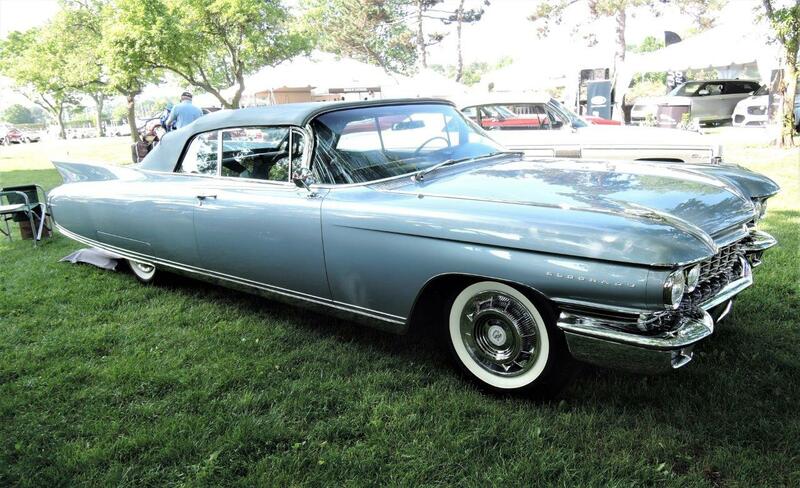 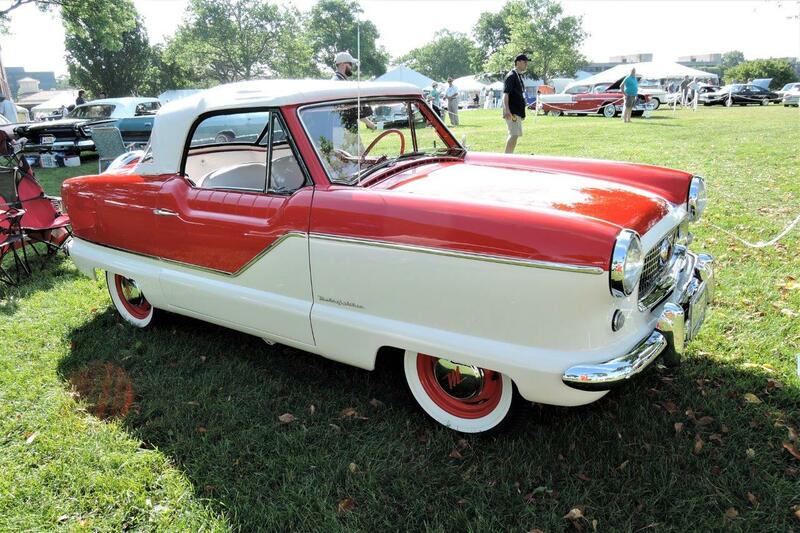 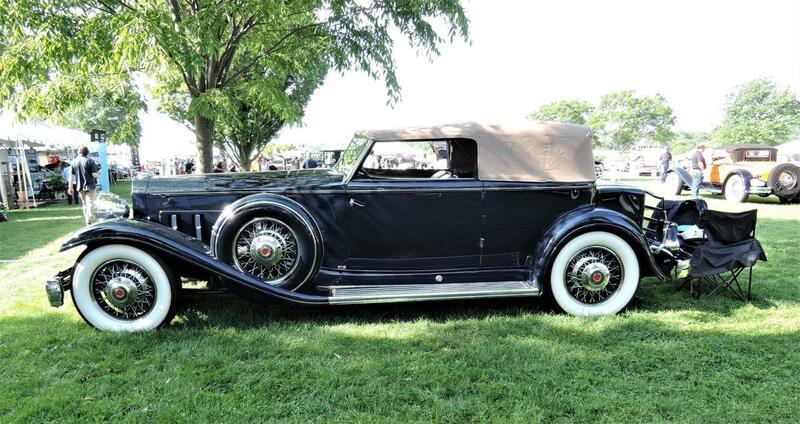 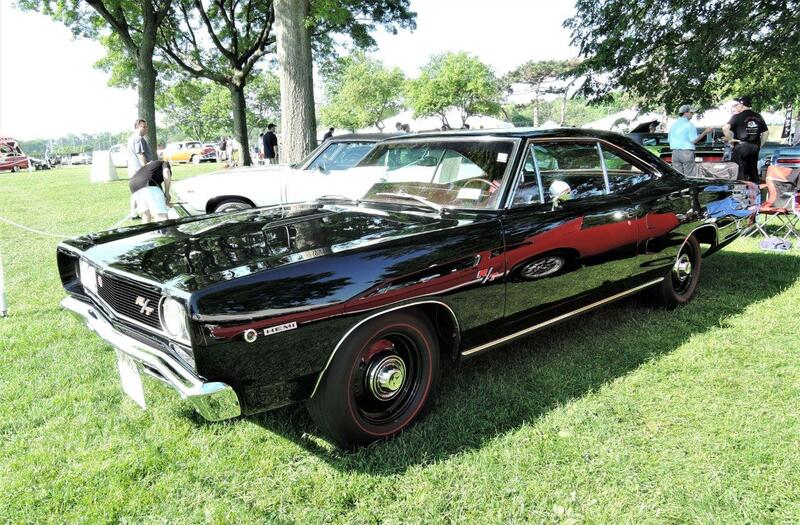 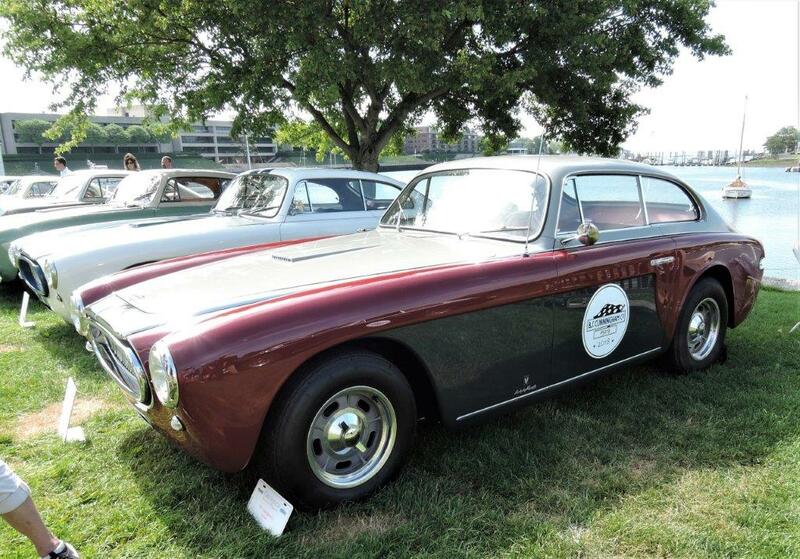 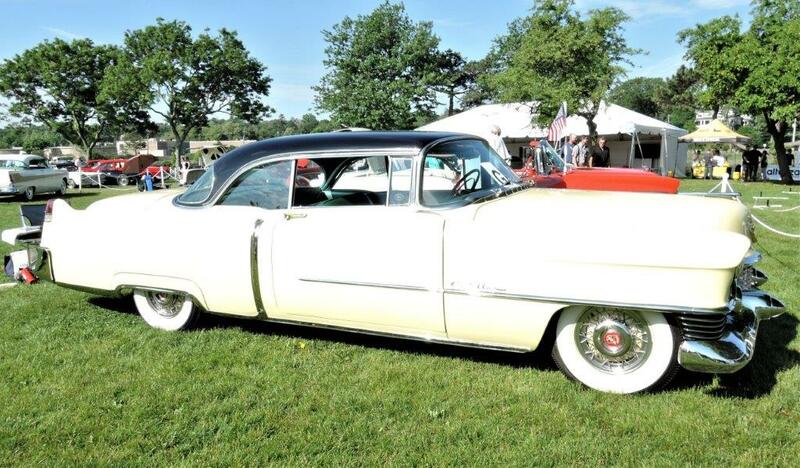 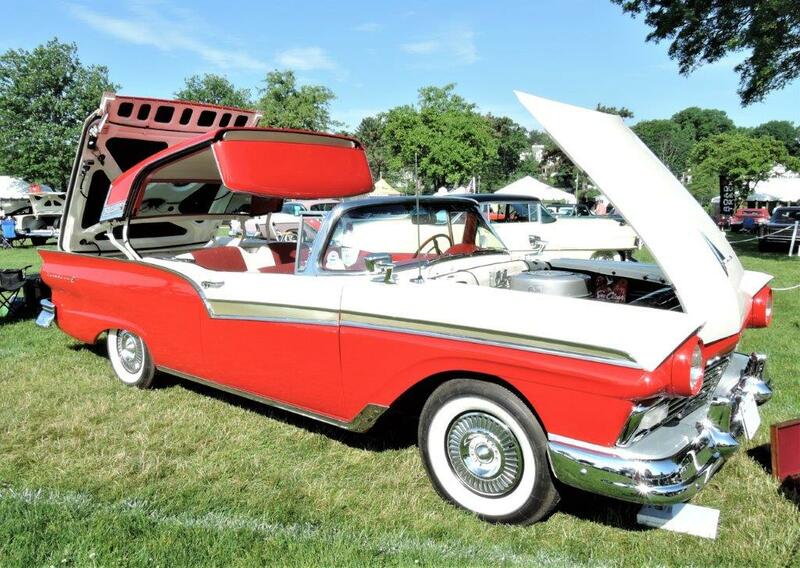 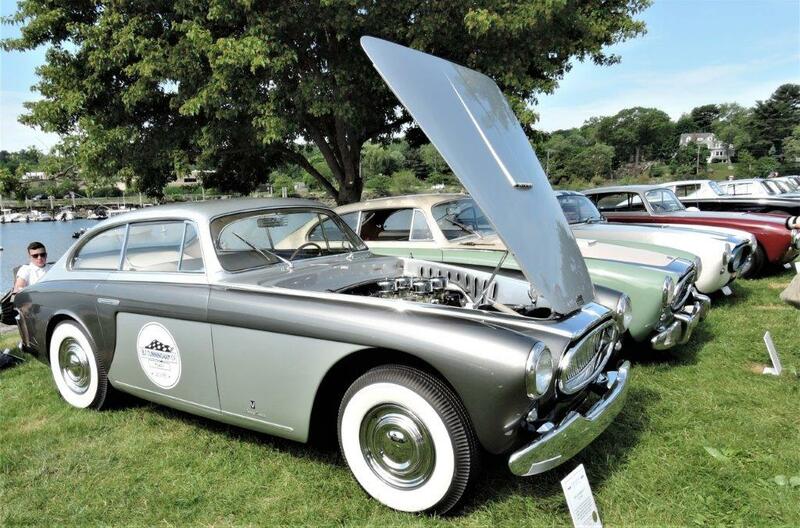 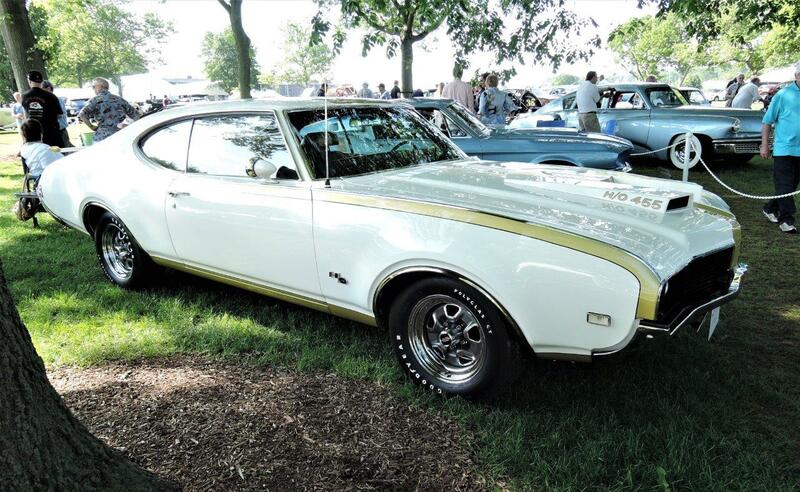 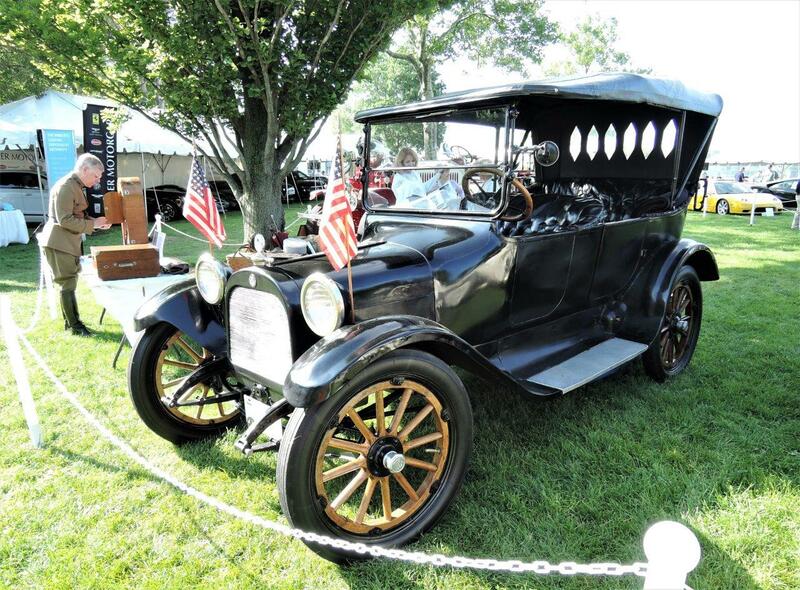 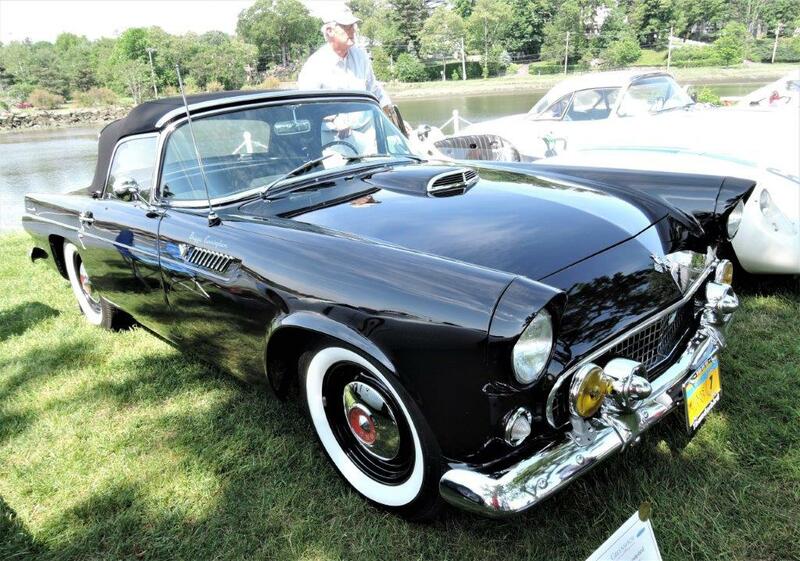 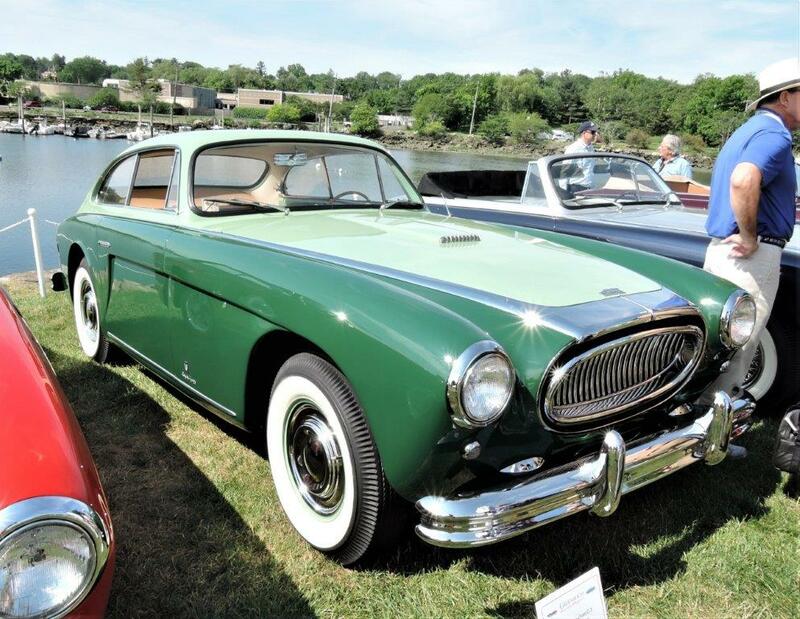 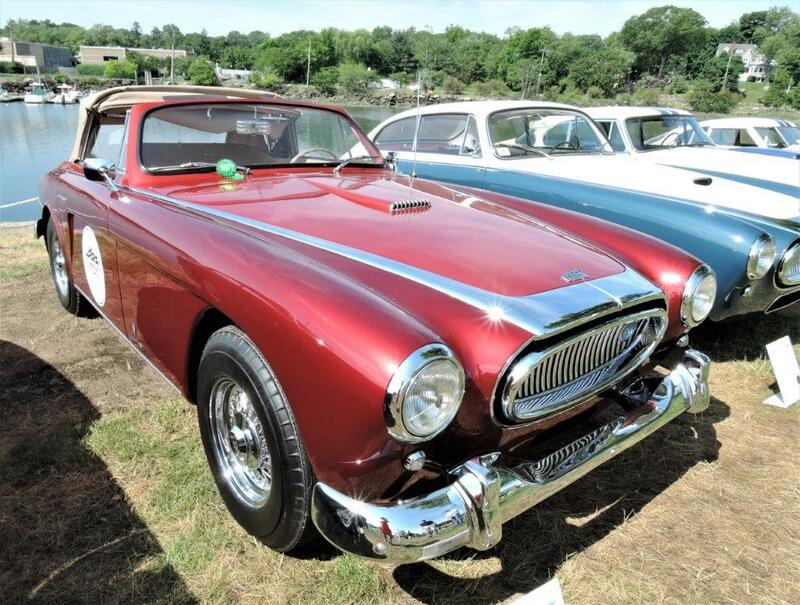 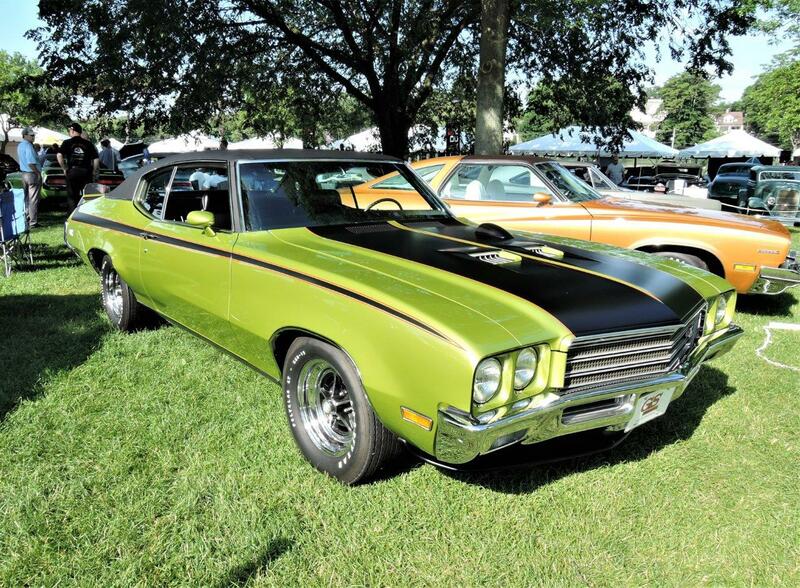 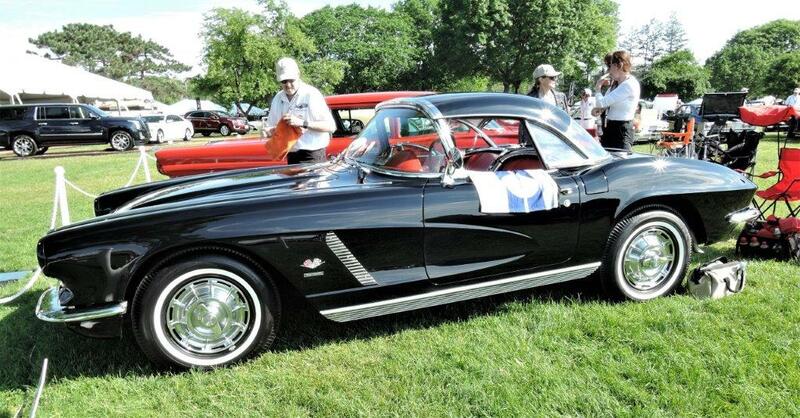 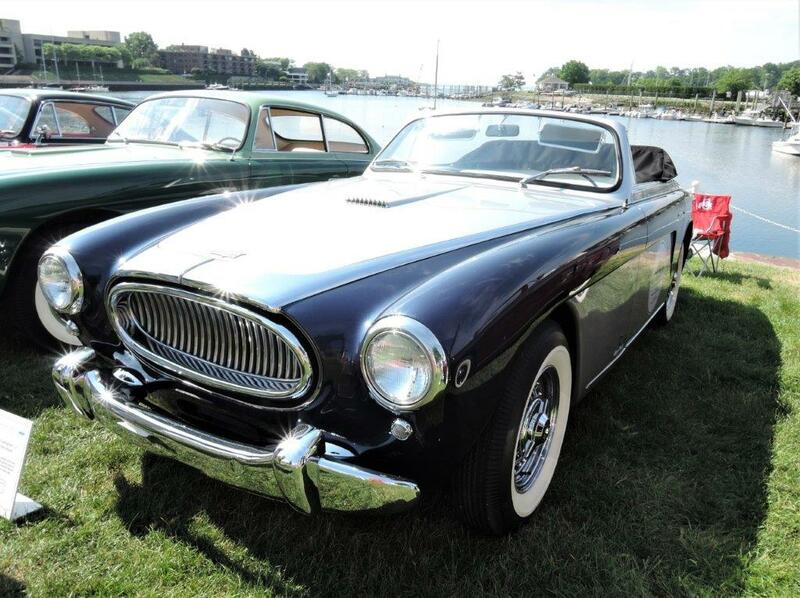 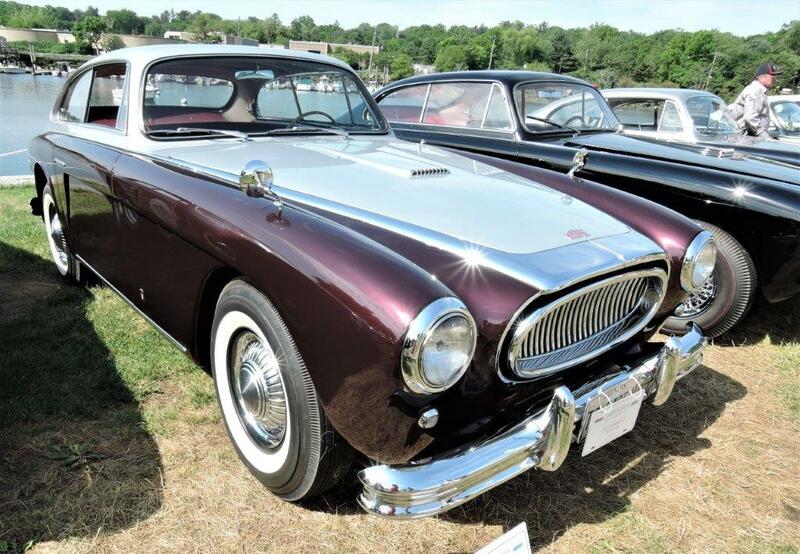 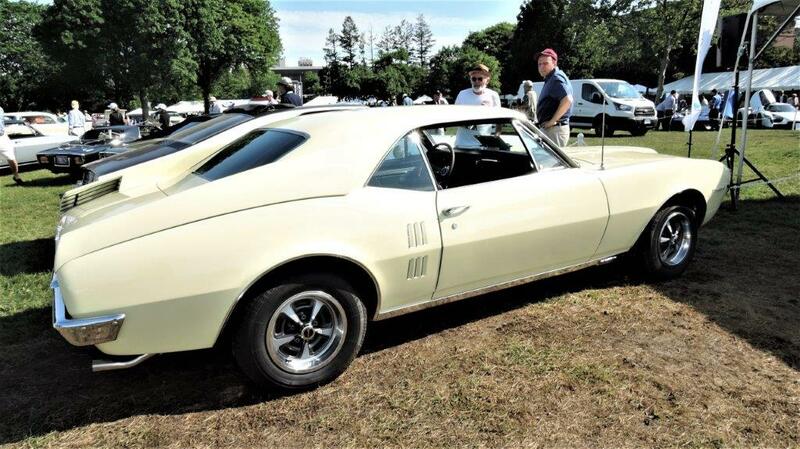 The Park looks out over Greenwich Harbor on Long Island Sound, and the format consists of domestic marques exhibited on Saturday in the Greenwich Concours Americana. 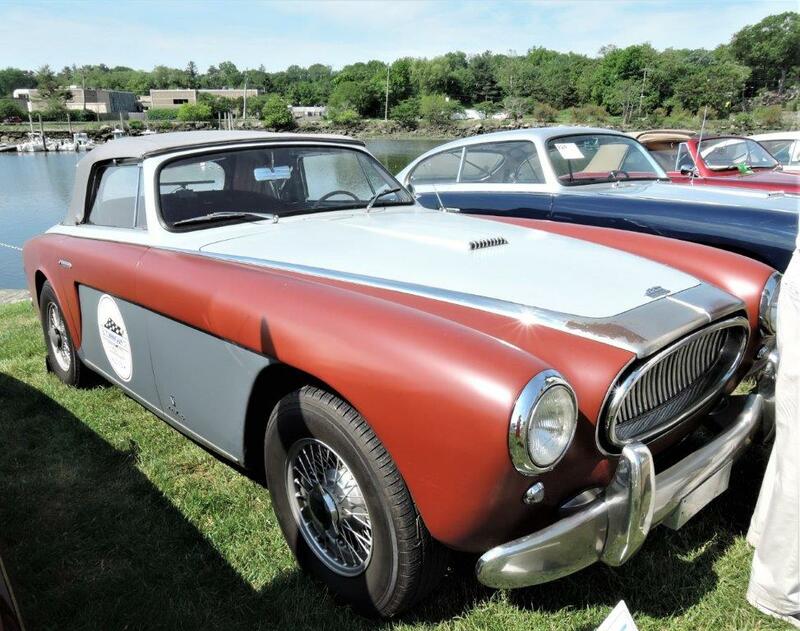 Imported marques are exhibited on Sunday in the Concours International. 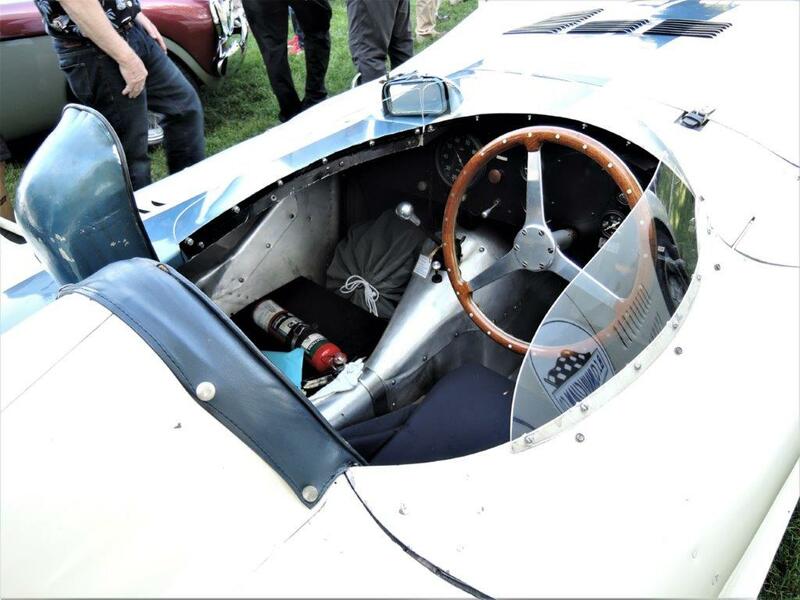 Thousands of spectators attended the Concourses. 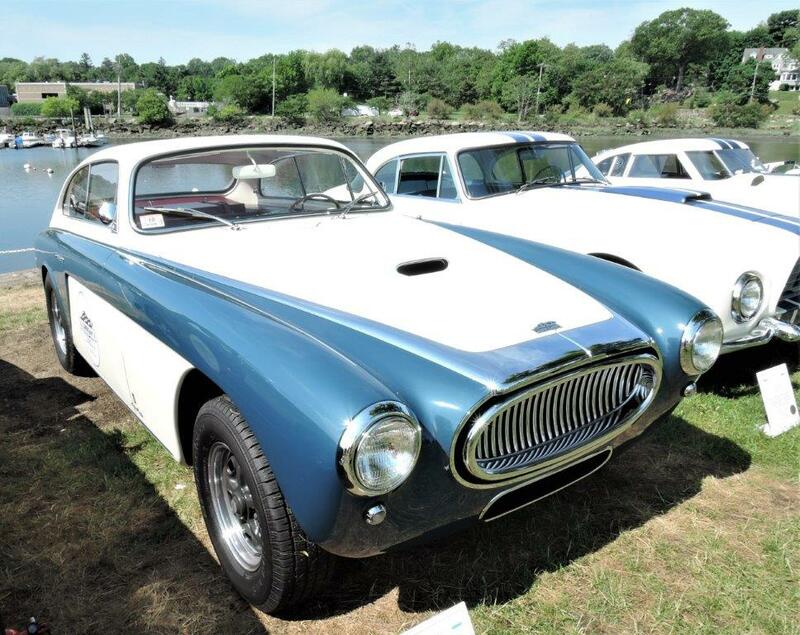 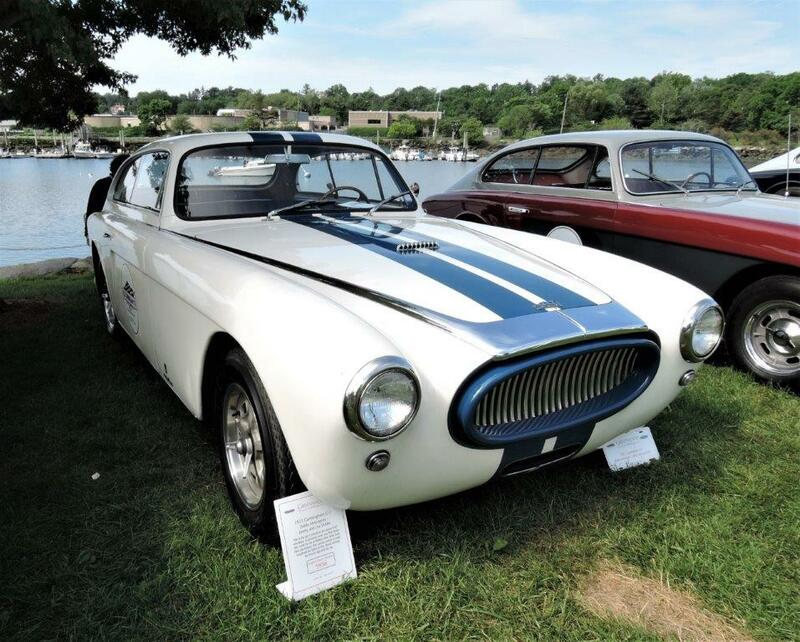 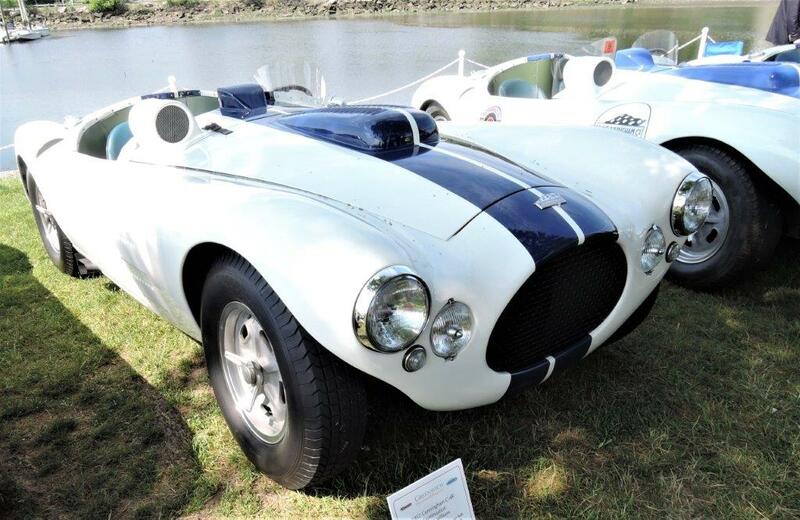 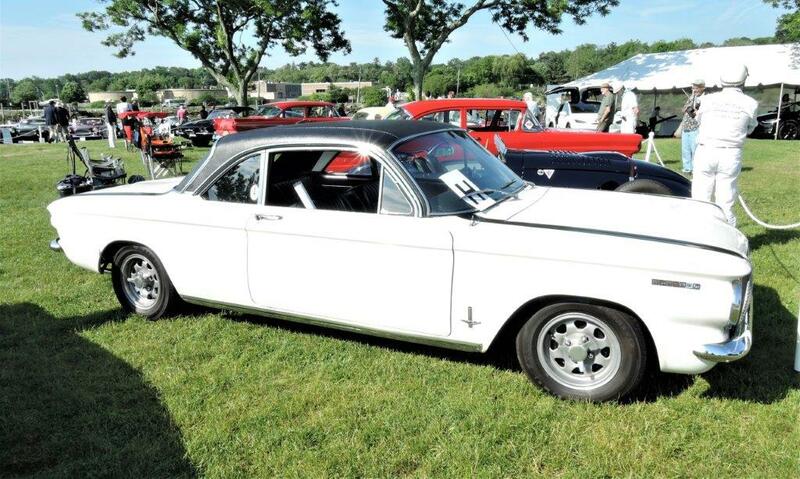 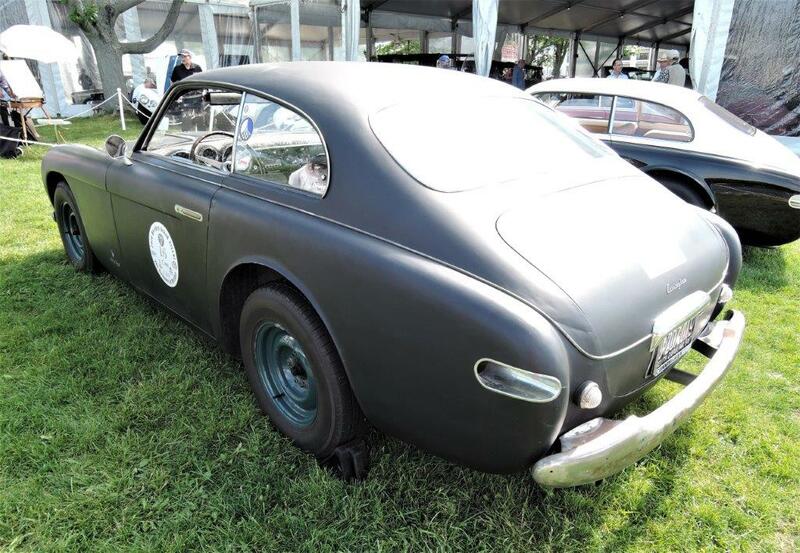 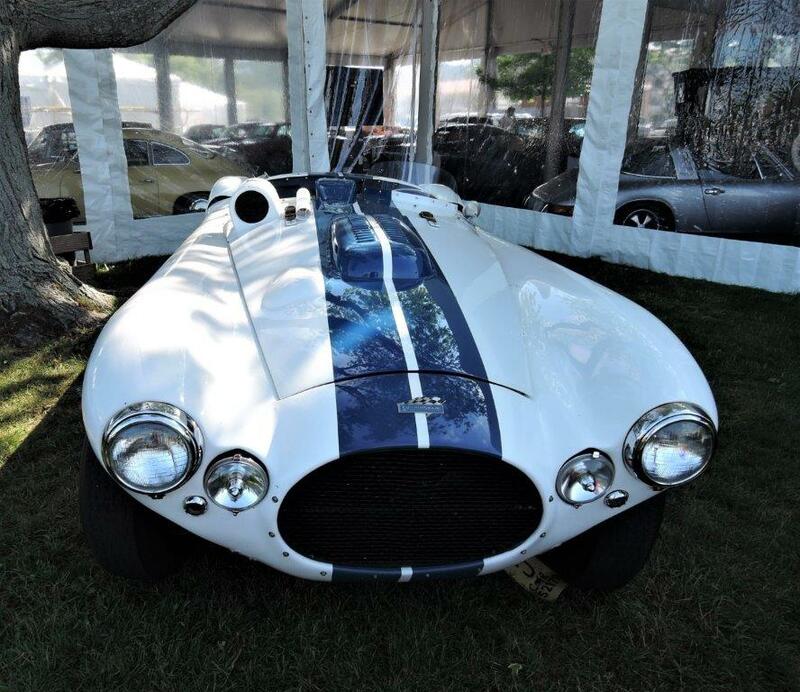 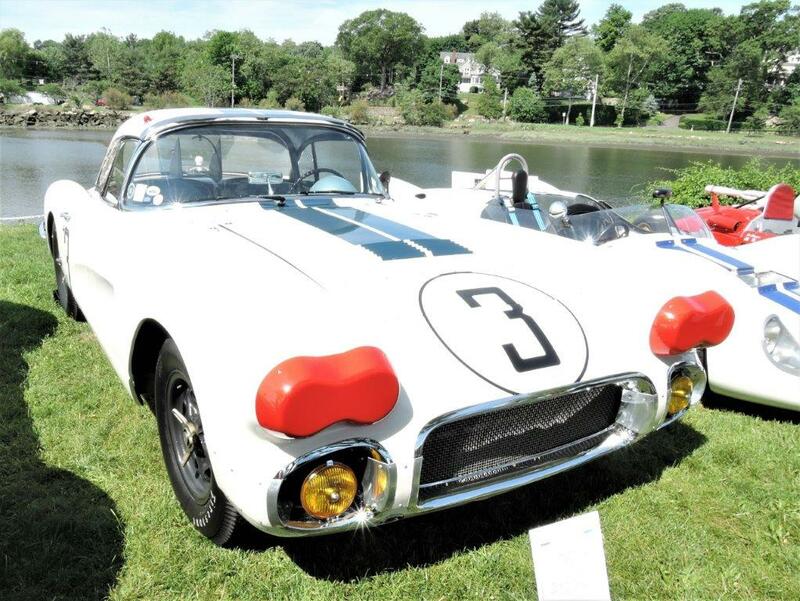 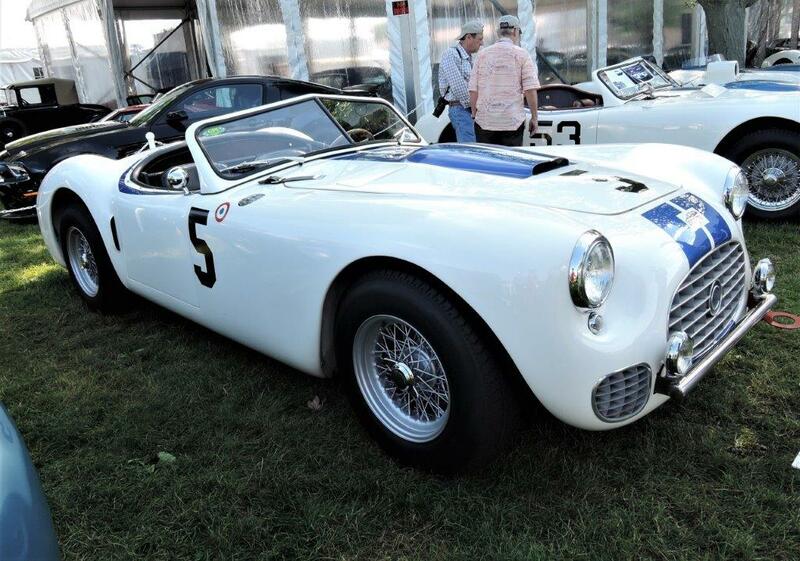 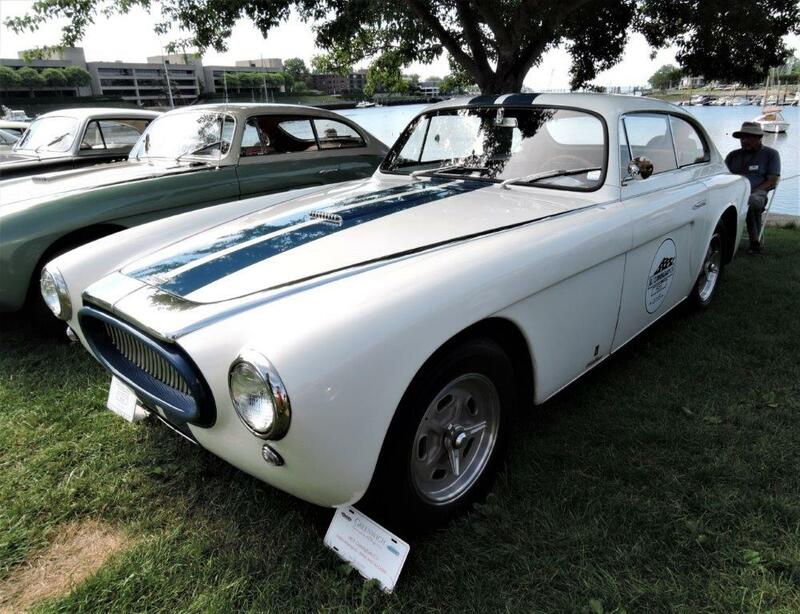 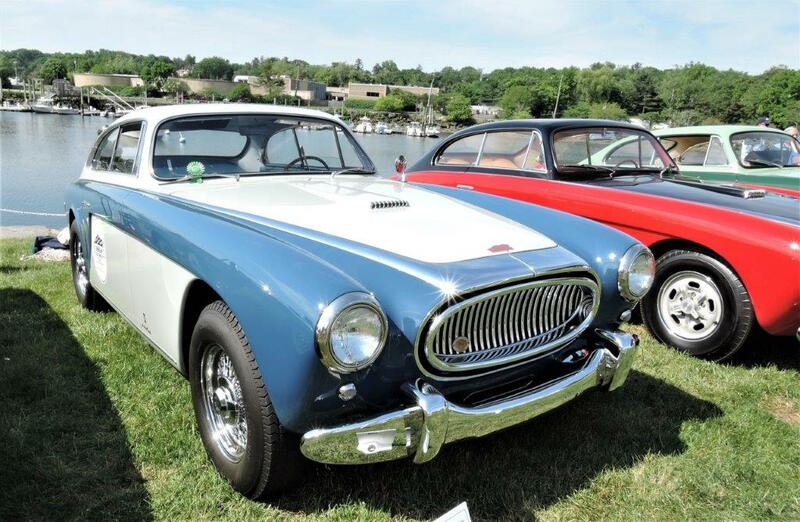 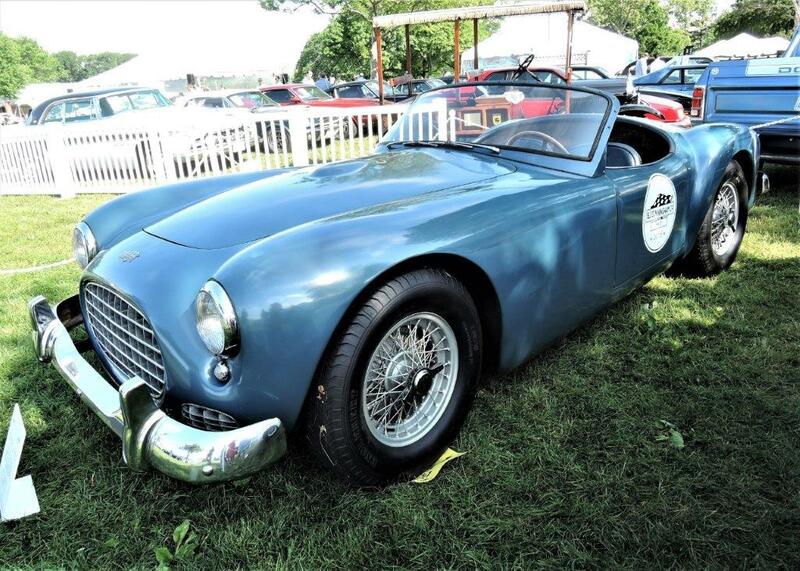 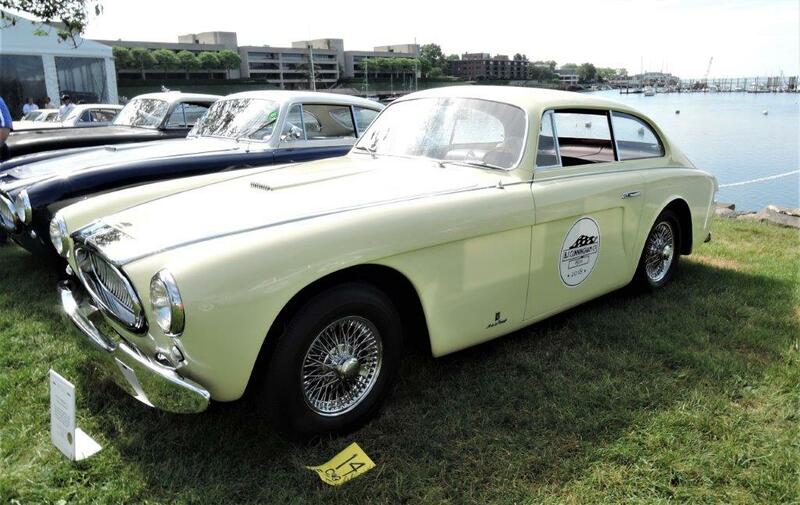 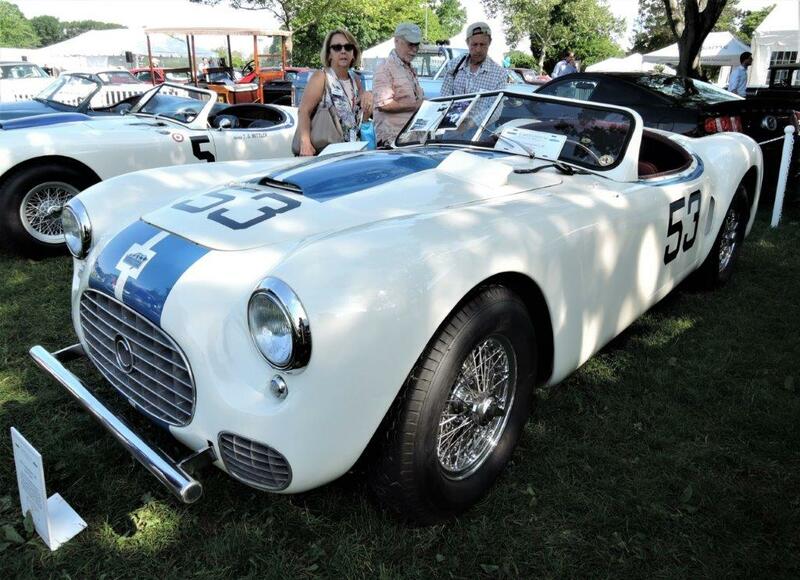 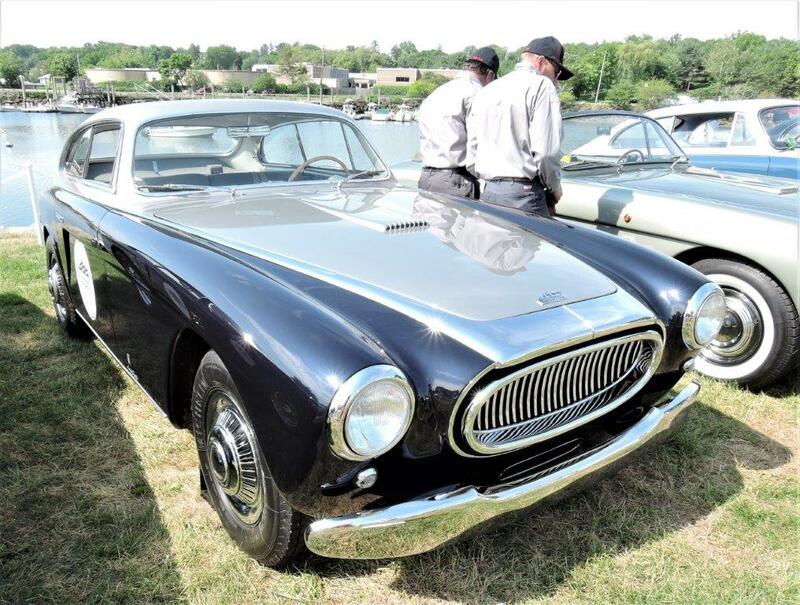 The most popular feature of both days were the cars of the late Briggs Cunningham. 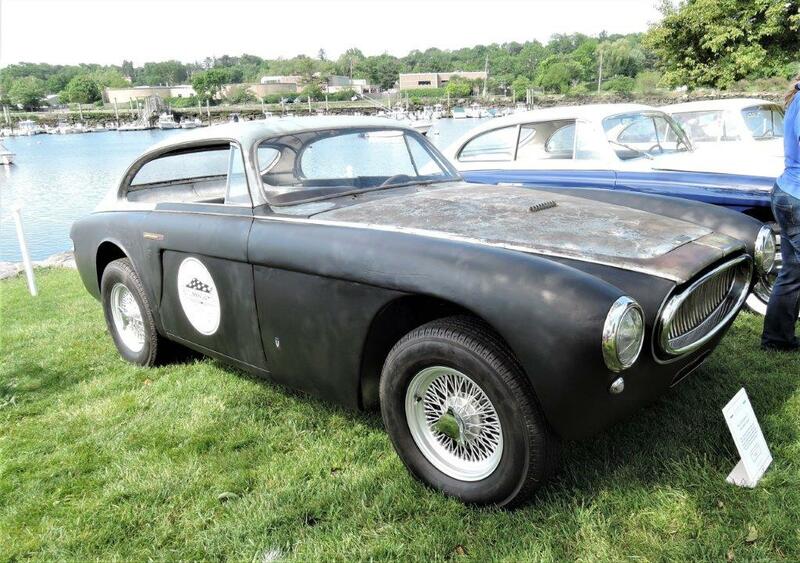 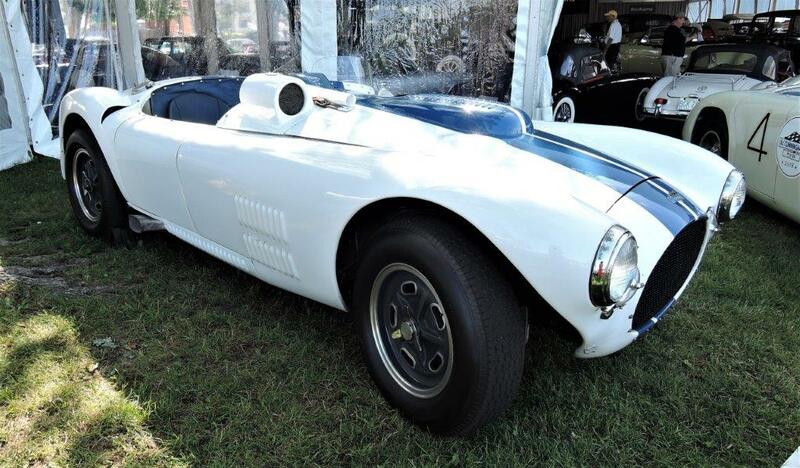 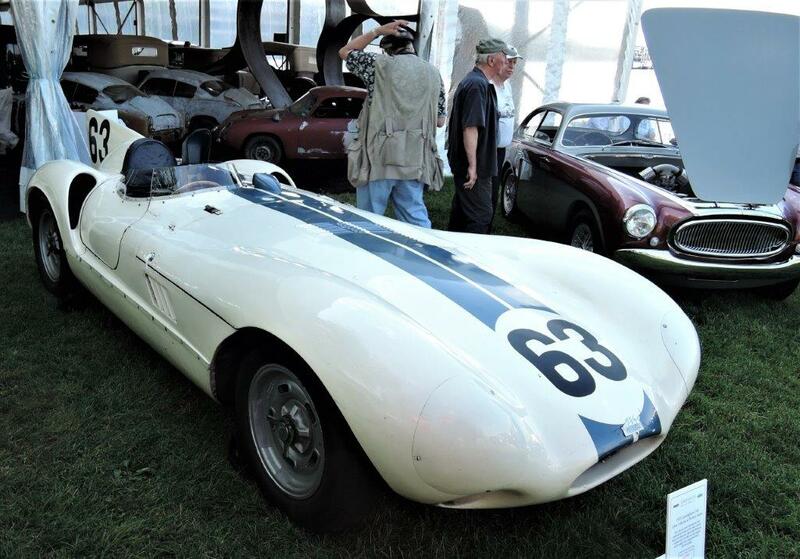 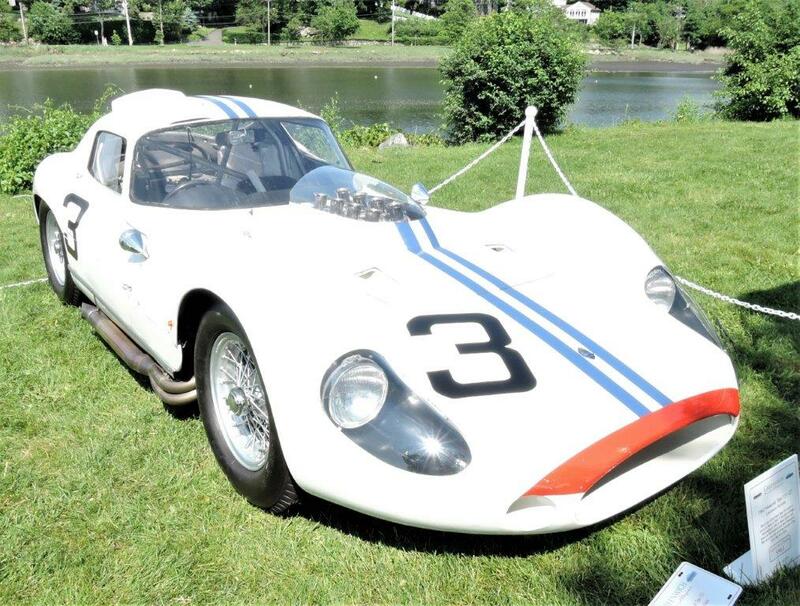 Of the 35 remaining Cunningham-built cars, 32 were on the field (one had an ‘off’ during the Friday rally, one delicate C-4RK stayed back at the REVS Institute, and one owner allegedly just did not care to attend). 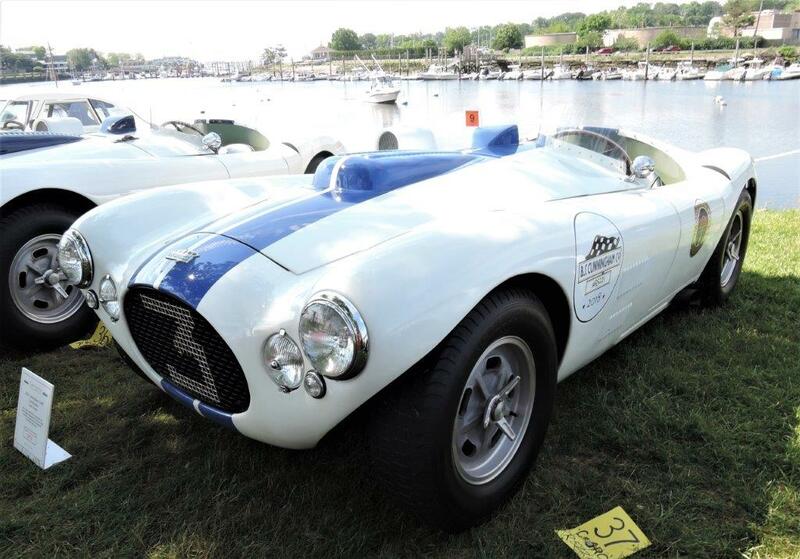 Also on the field were five Cunningham team race cars, four continuation cars, and Cunningham’s personal 1955 Thunderbird. 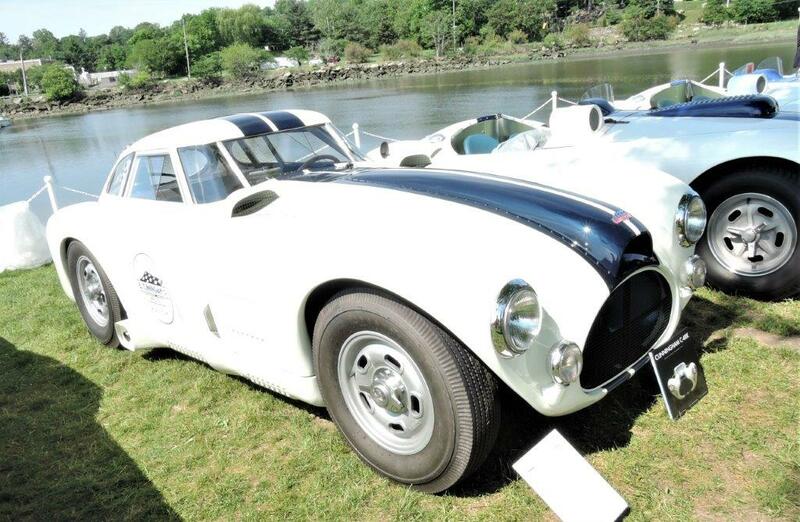 This was the largest display of Cunningham cars ever assembled in one location. 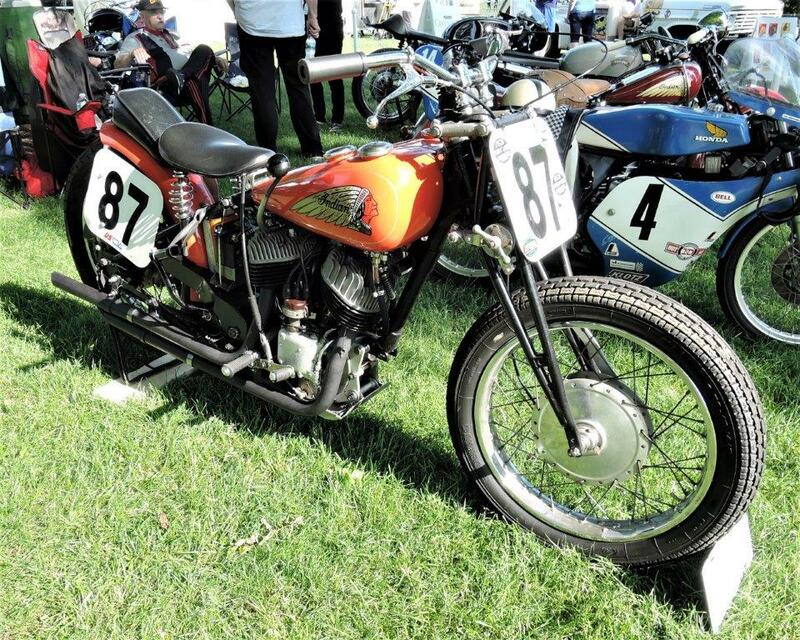 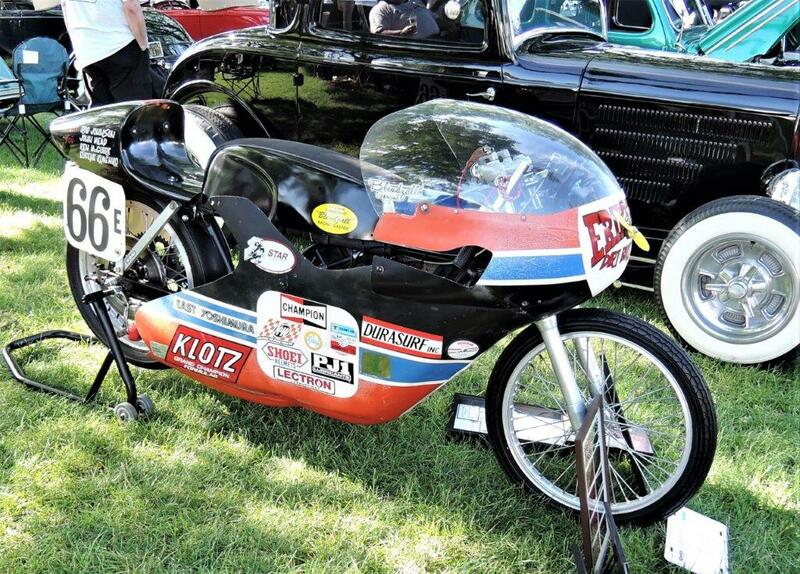 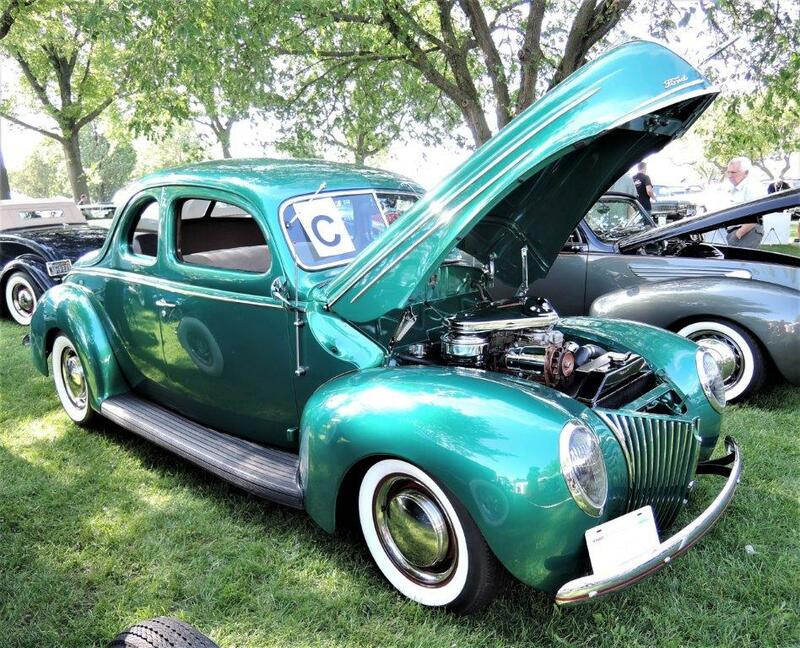 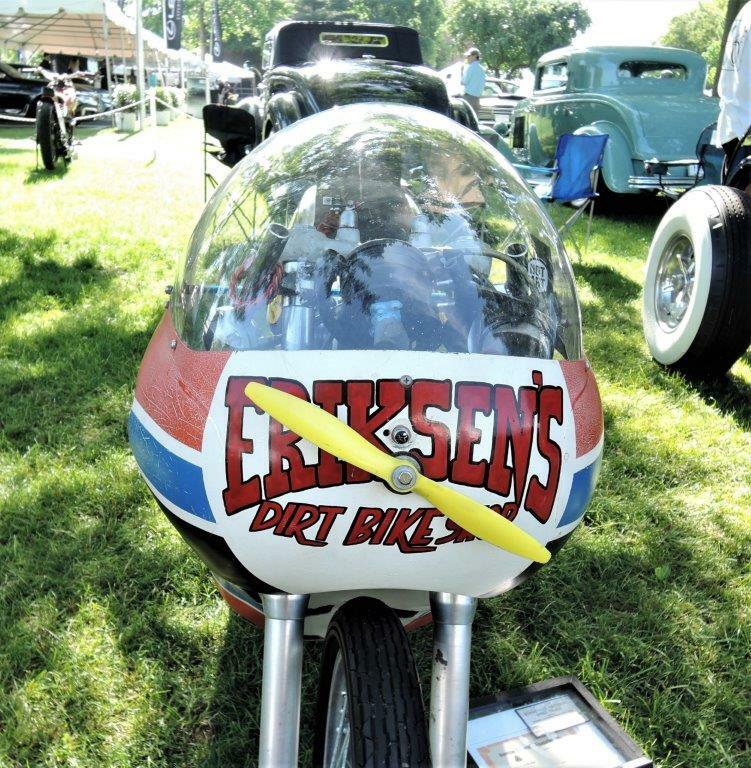 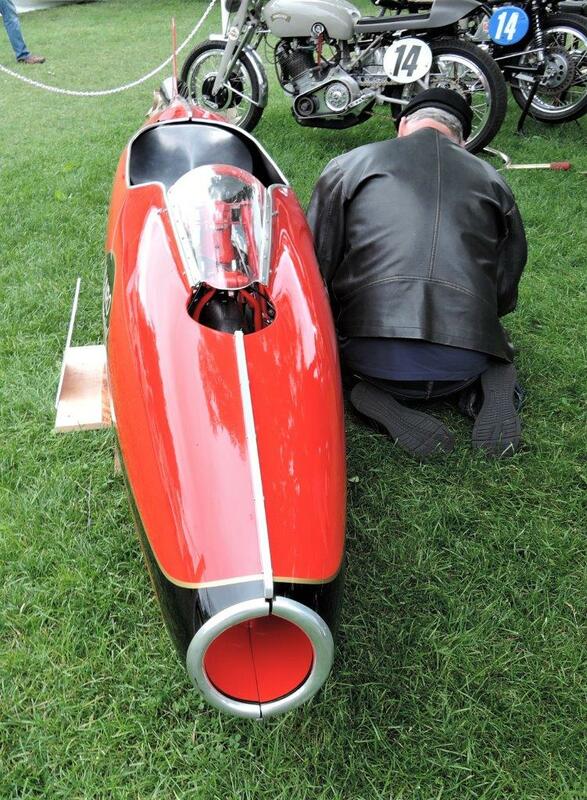 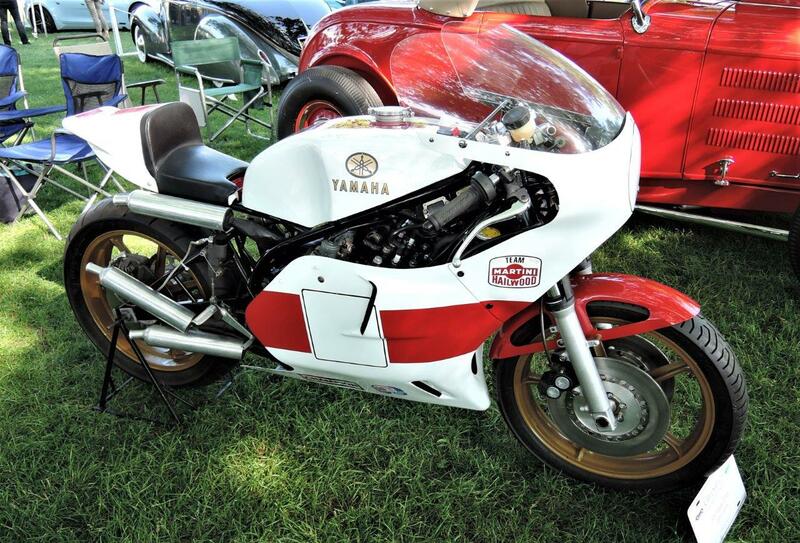 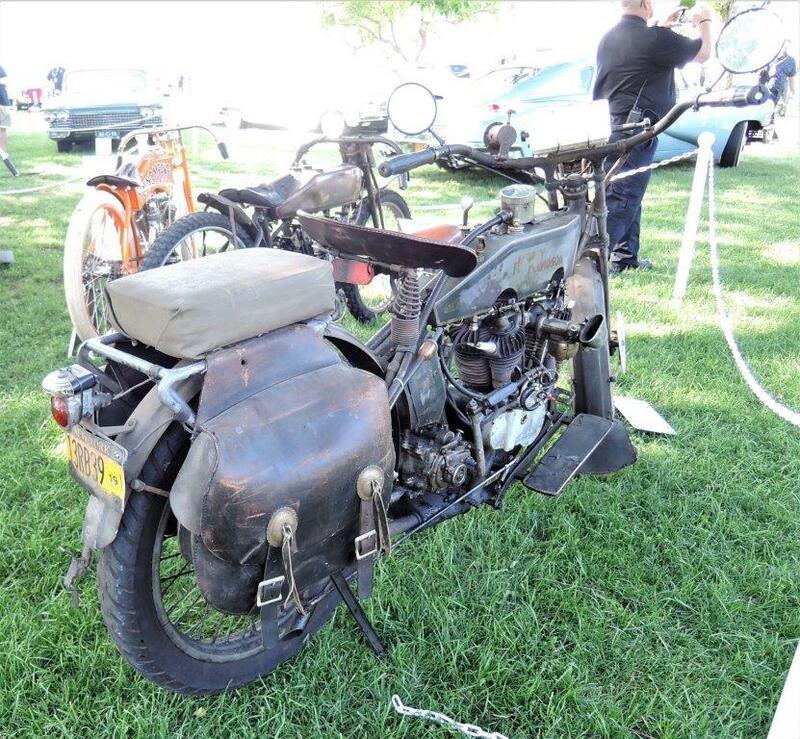 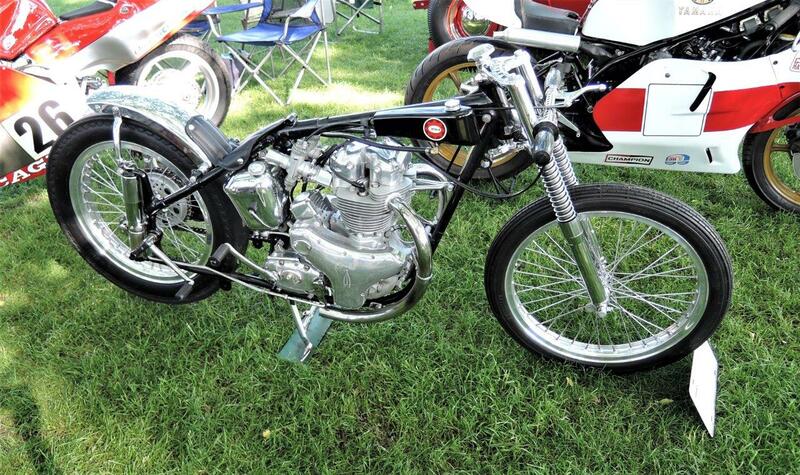 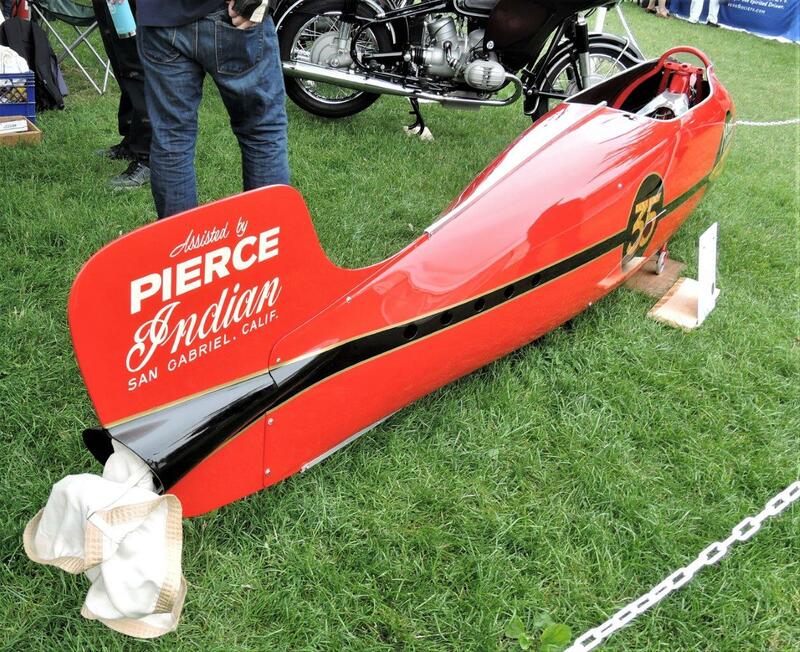 Two other featured Classes were the Cars of John Fitch and Competition Motorcycles. 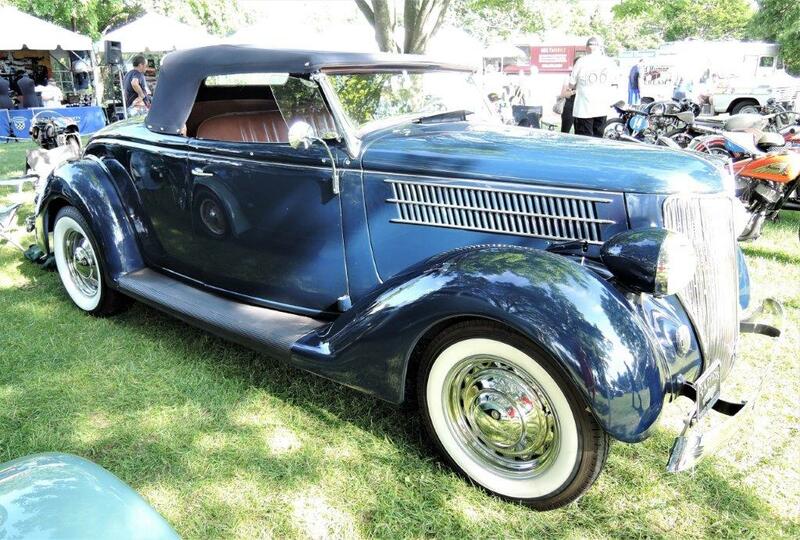 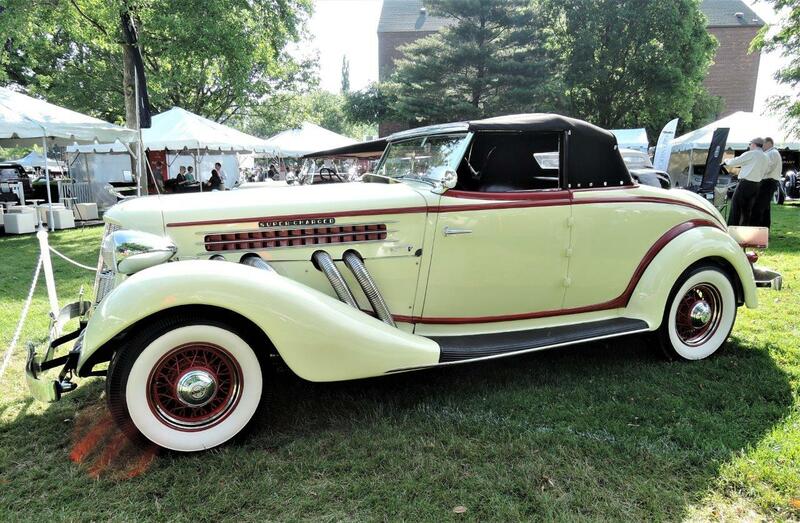 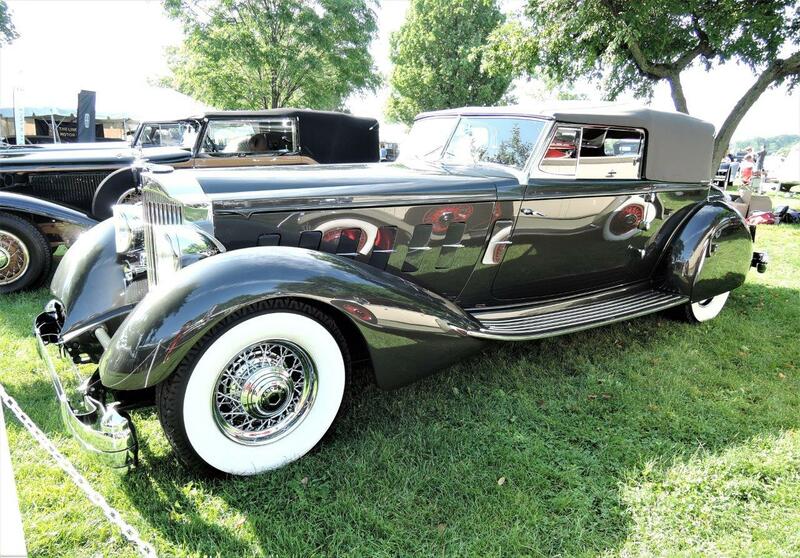 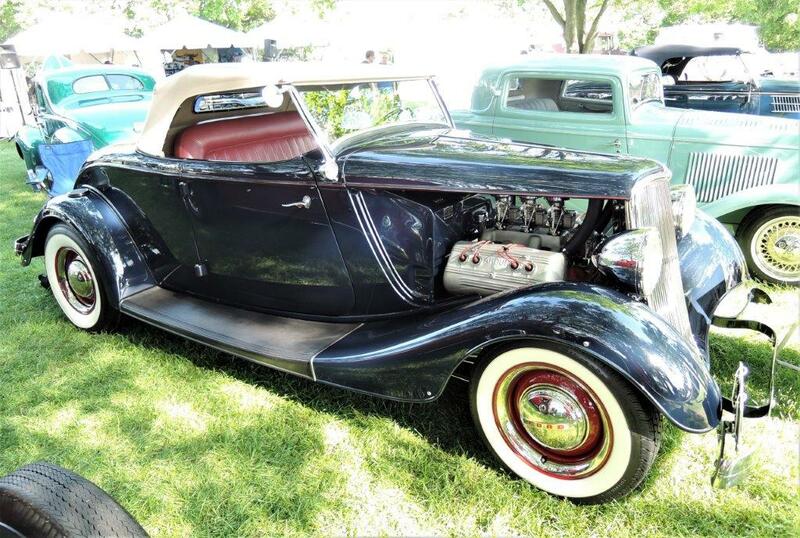 Greenwich Concours Americana Best of Show – Elegance was a 1934 Packard Convertible Victoria. 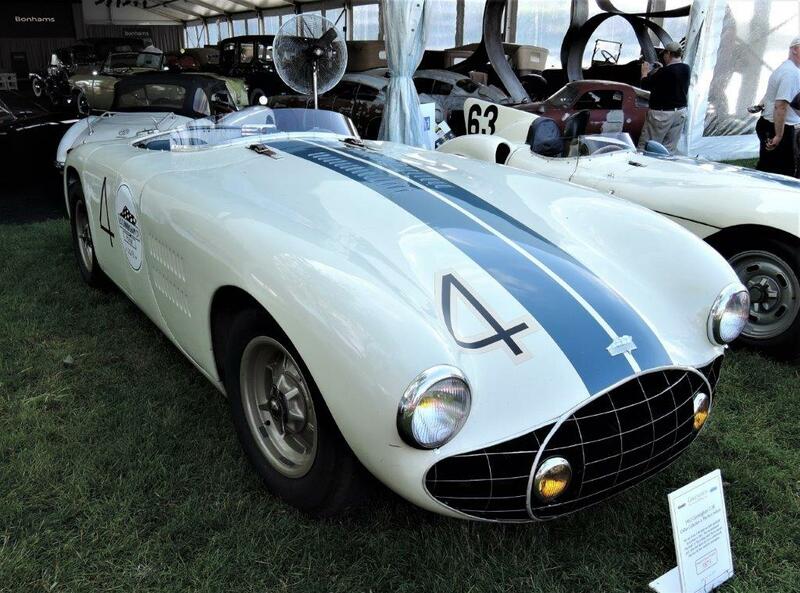 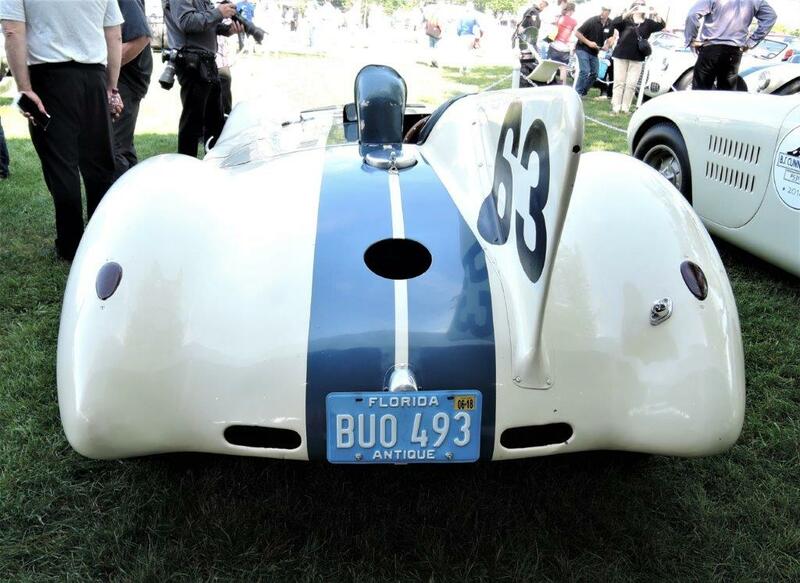 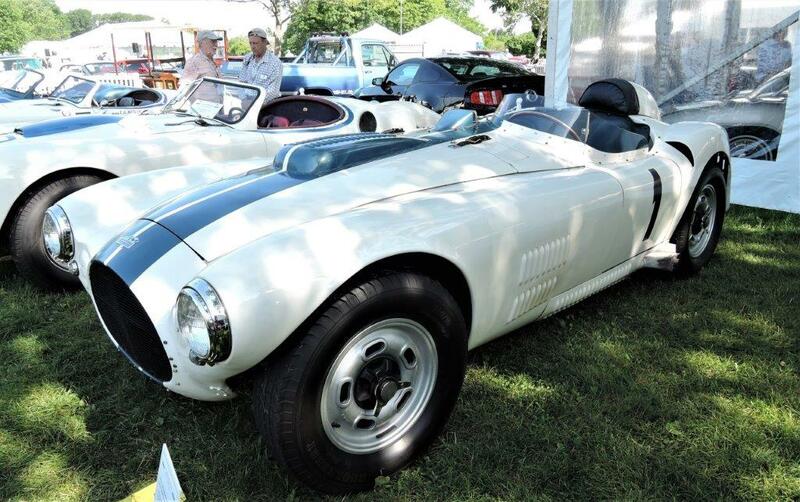 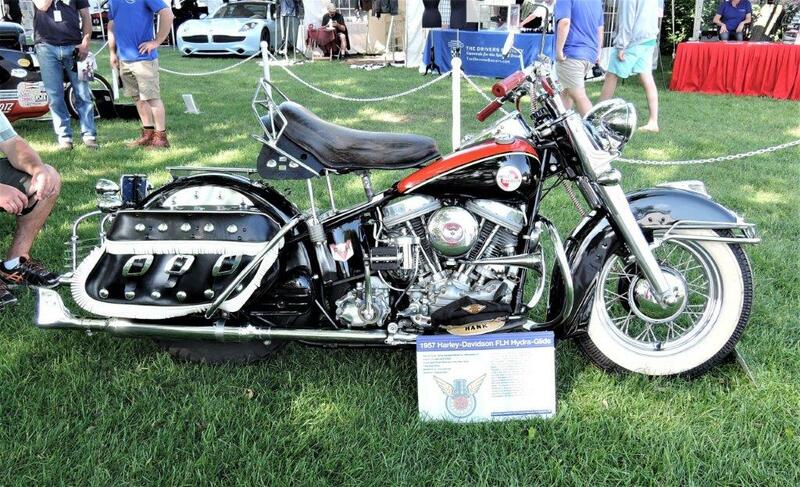 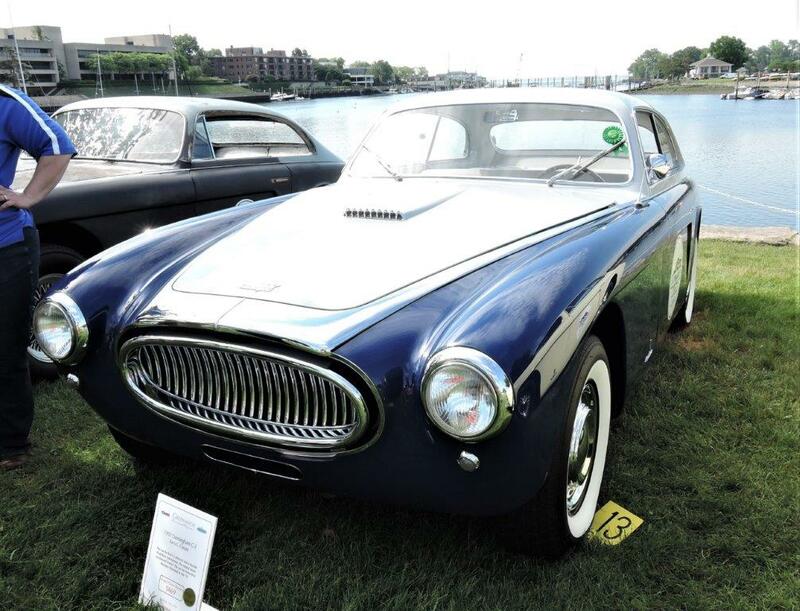 American Best of Show – Sport was a 1952 Cunningham C-3. 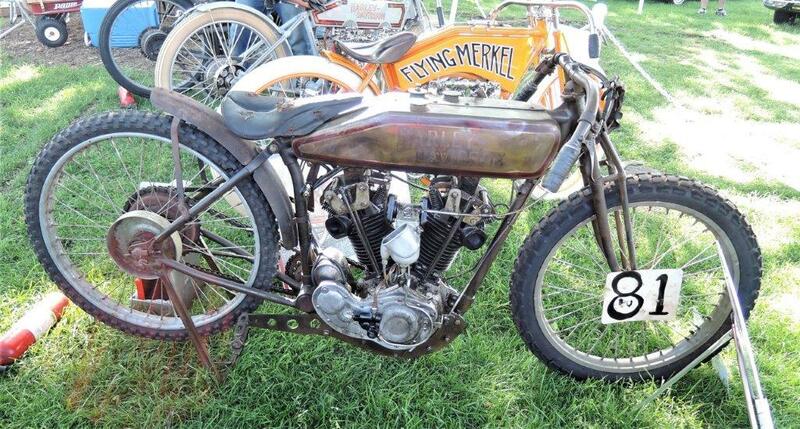 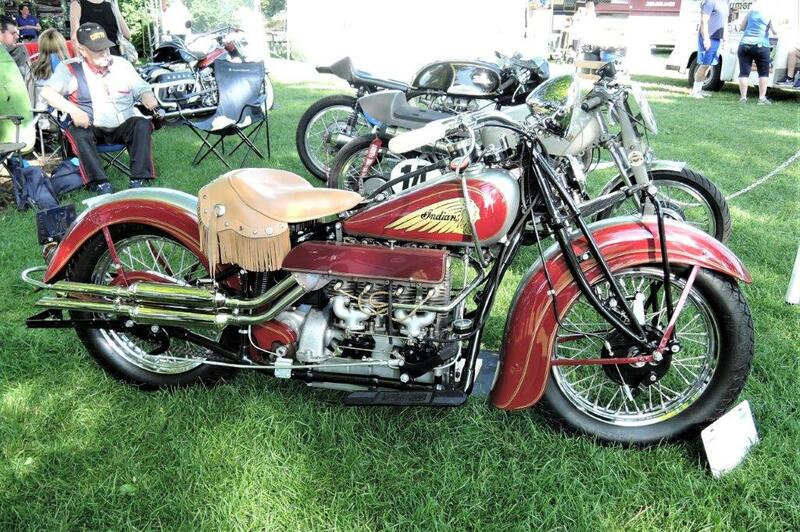 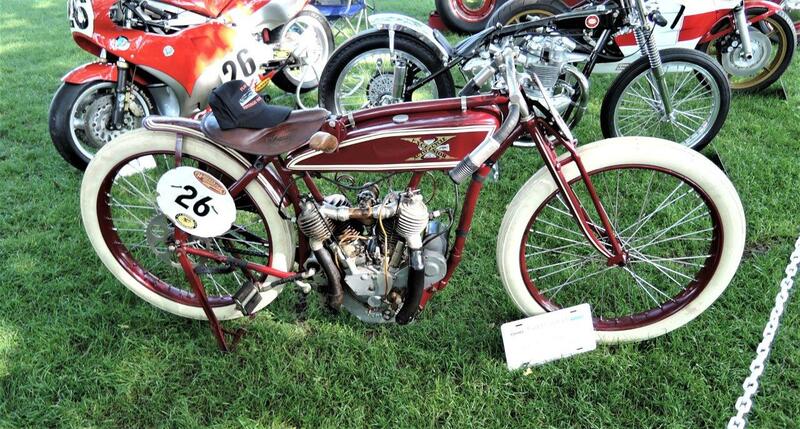 The Most Outstanding Motorcycle – American went to the 1920 Indian Scout Streamliner (The World’s Fastest Indian). 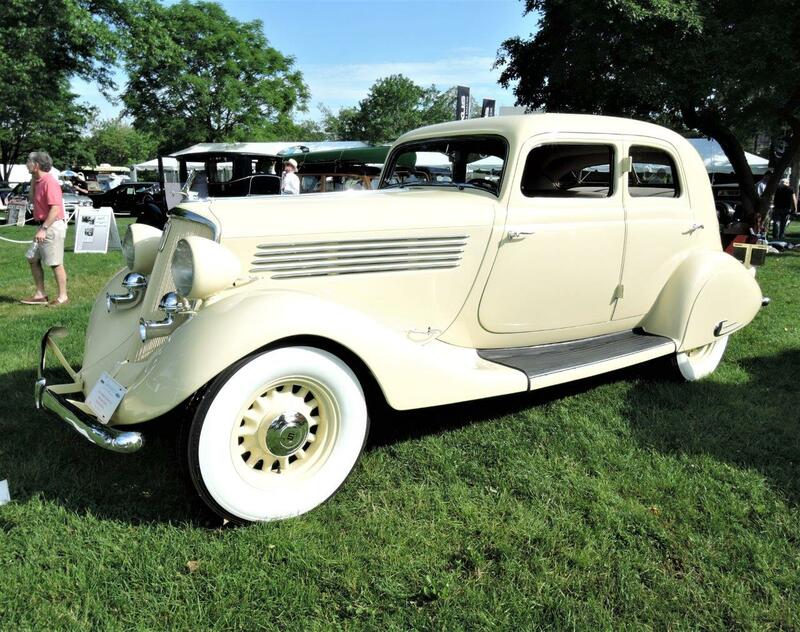 1934 Studebaker President Year Ahead Land Cruiser; this is the only 1934 Land Cruiser known to exist in the U.S.
1953 Cunningham C-3; this is the last C-3 built on the shorter 105″ wheelbase. 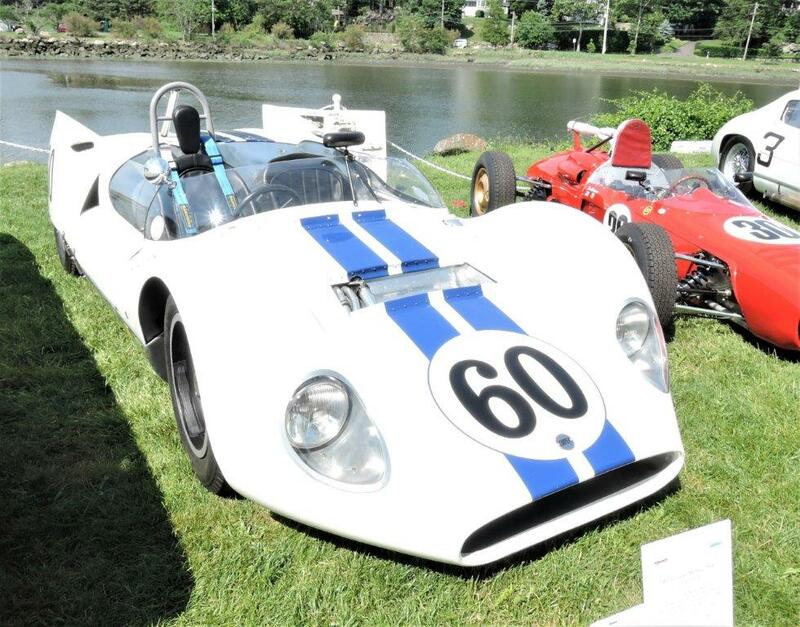 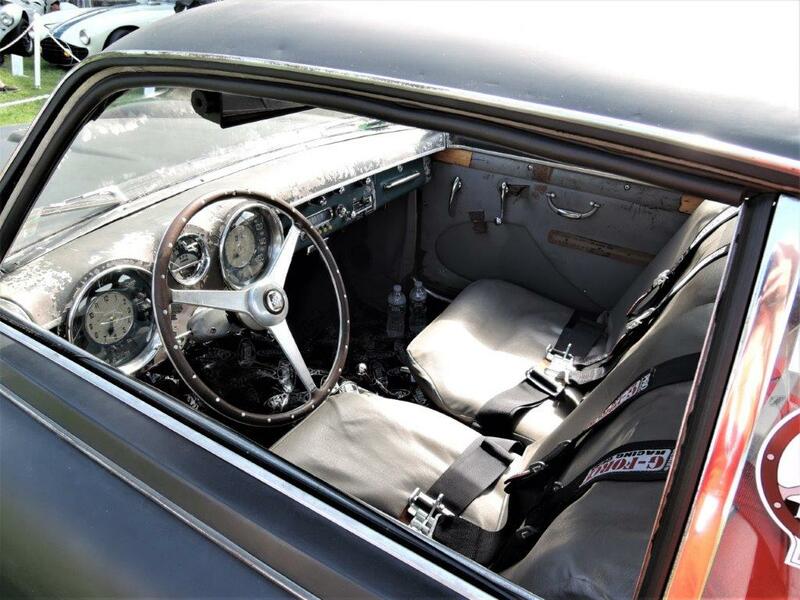 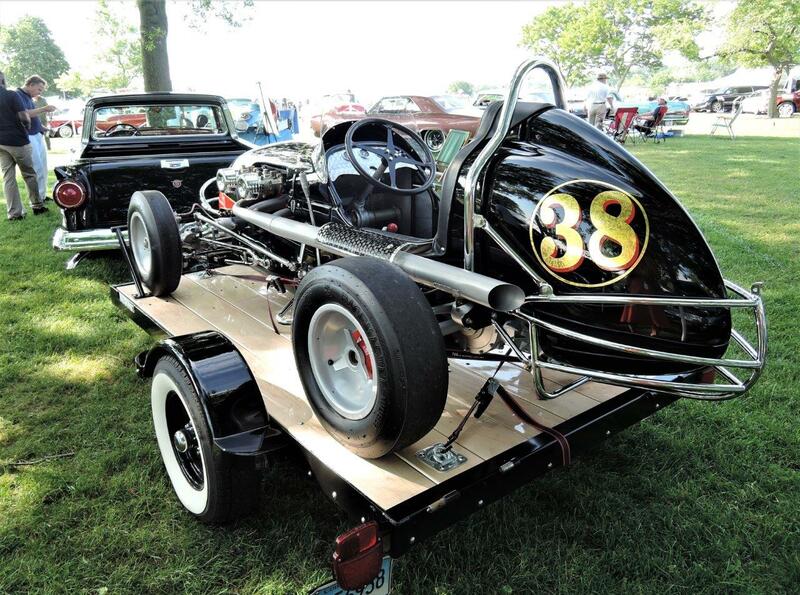 Its previous owner was Tom Smith who raced the car at Watkins Glen, Lime Rock and Pocono. 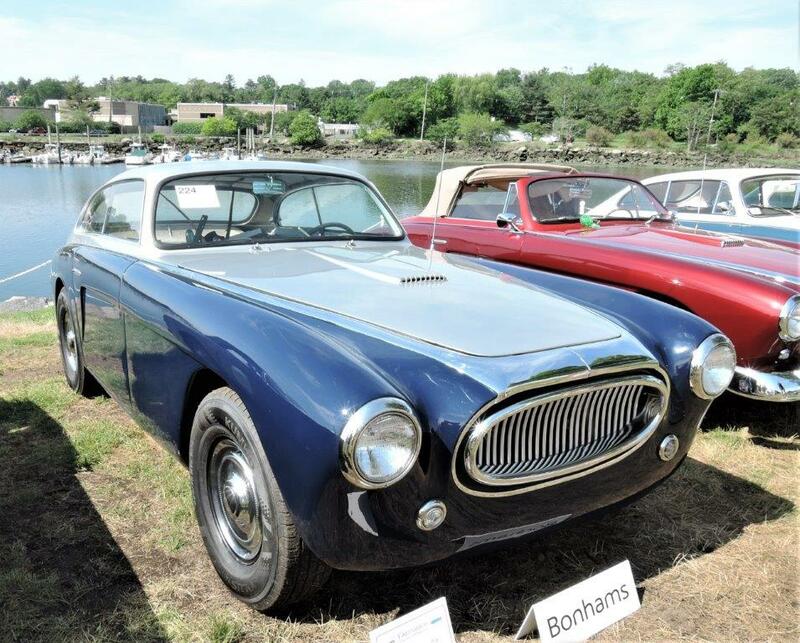 The current owners recently completed the Spirit of Yves Classic through the French Alps with this car!